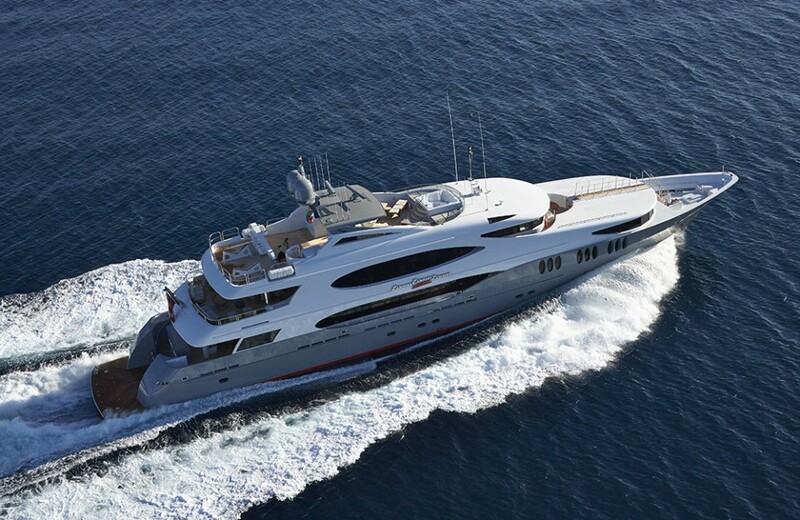 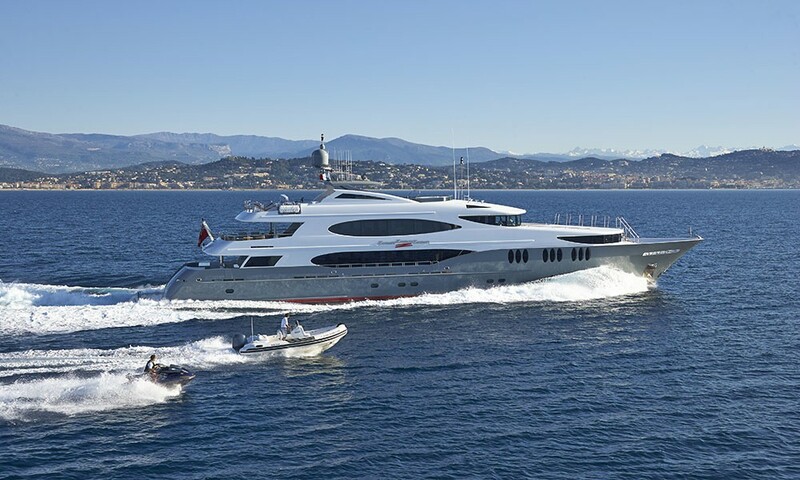 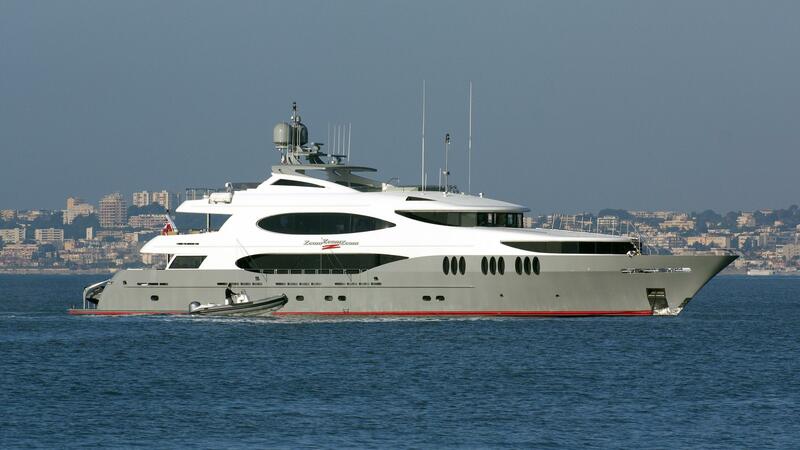 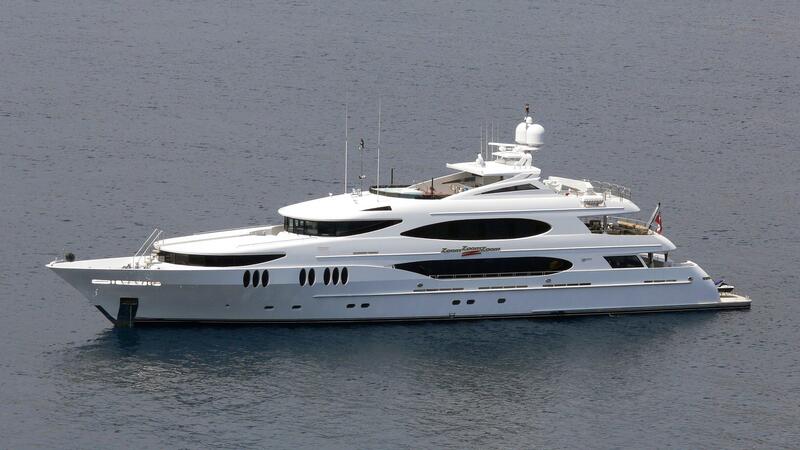 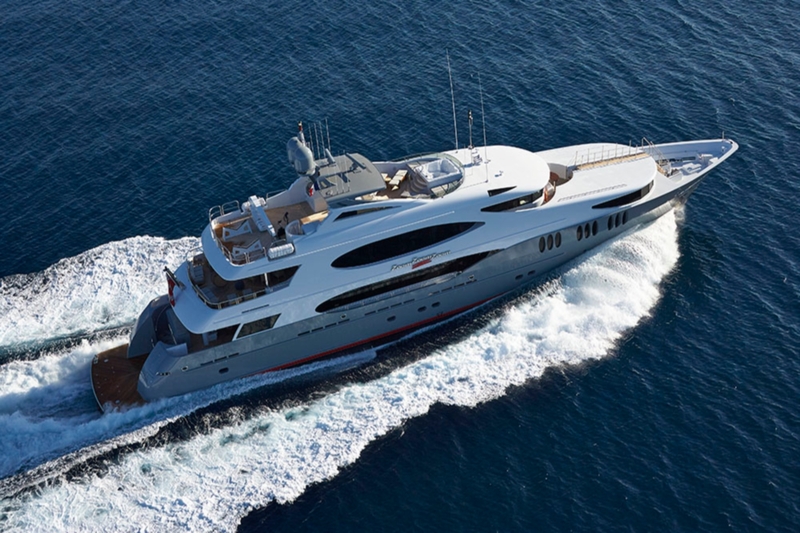 Motor yacht Zoom Zoom Zoom is a 49m (161ft) superyacht built in 2005. 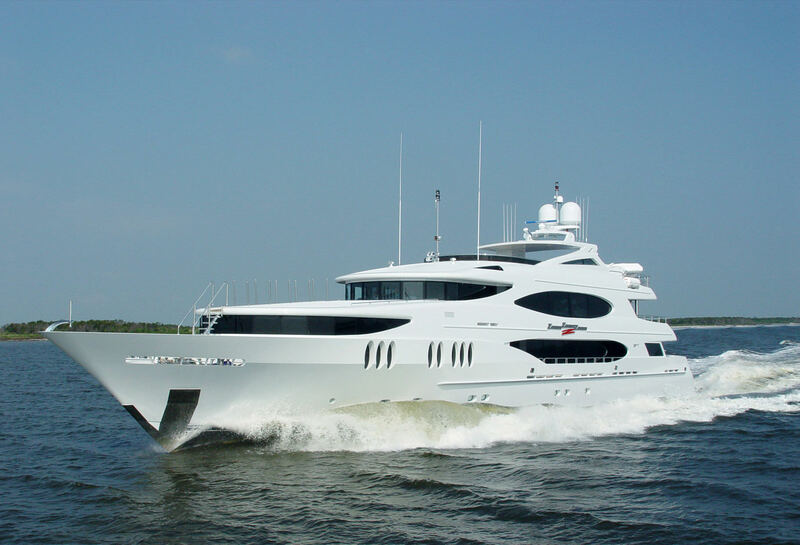 Built by Trinity Yachts, she is one of the fastest conventionally powered motor yacht of her size ever built in the United States. 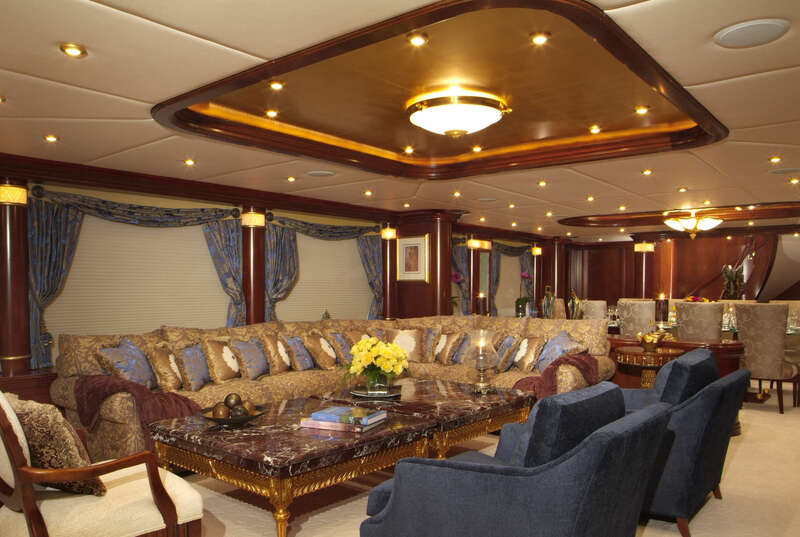 She is able to accommodate 10 guests in 5 cabins. 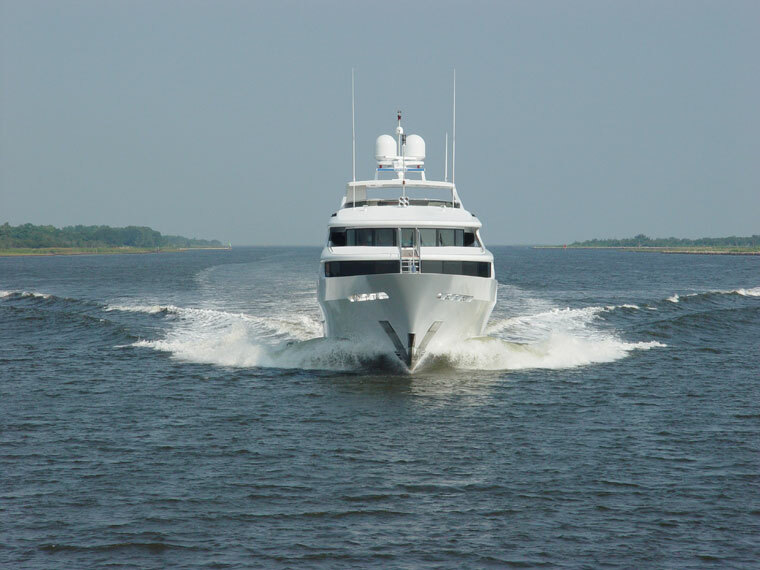 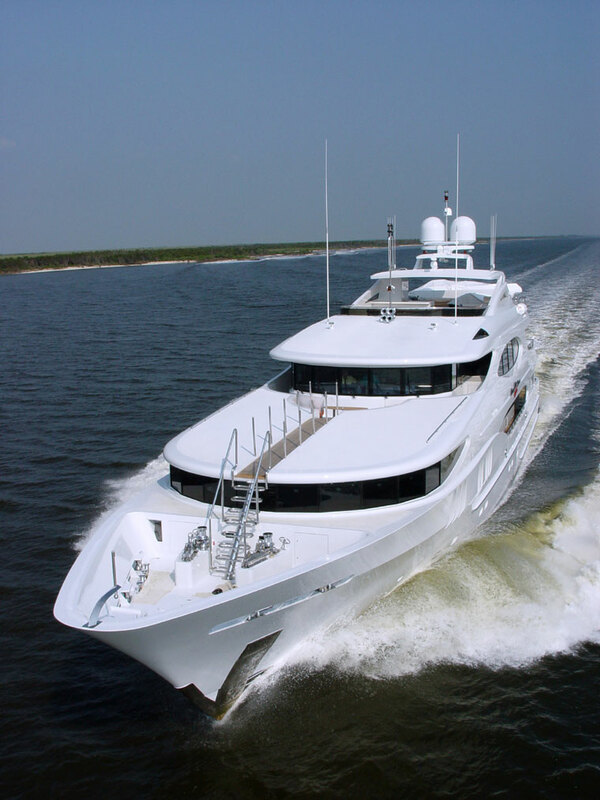 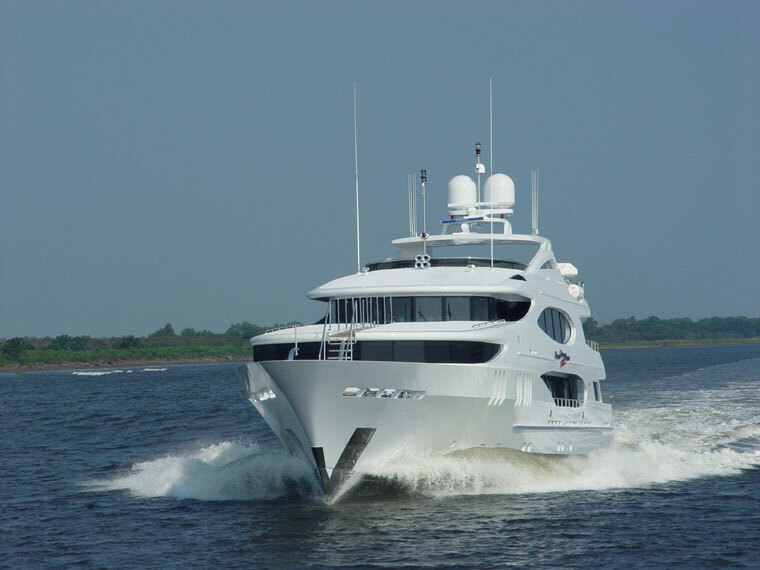 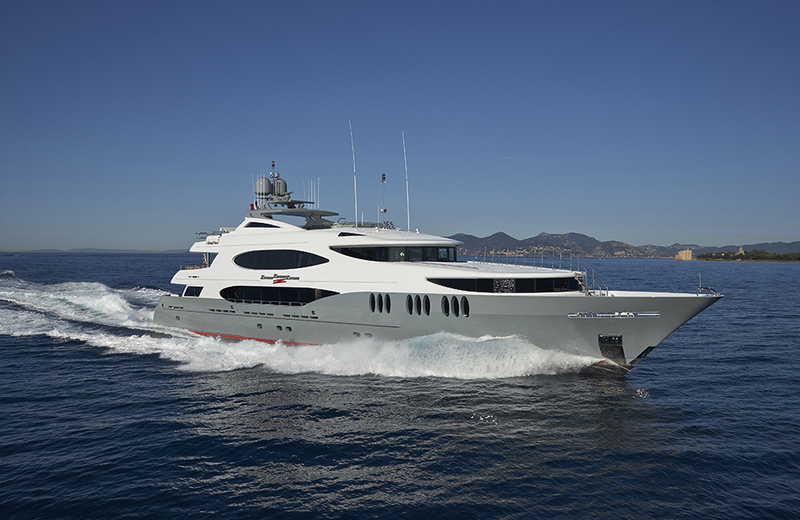 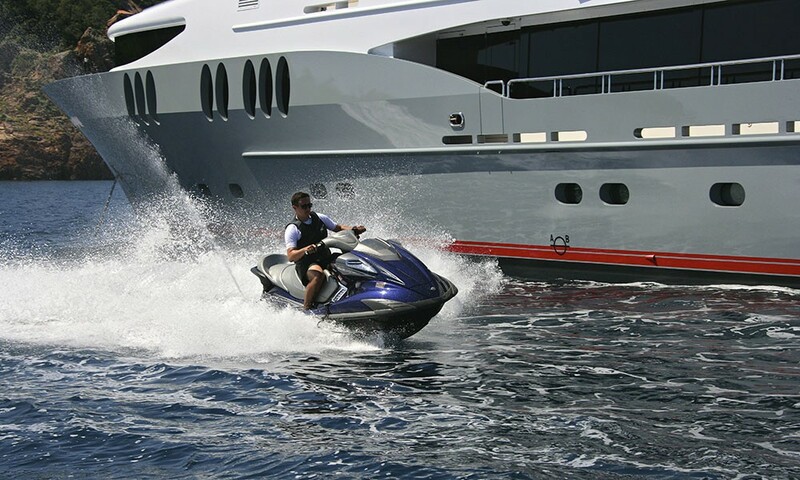 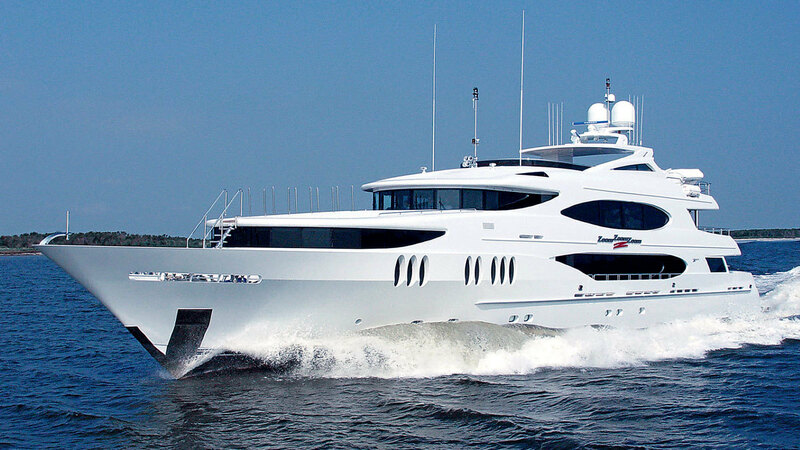 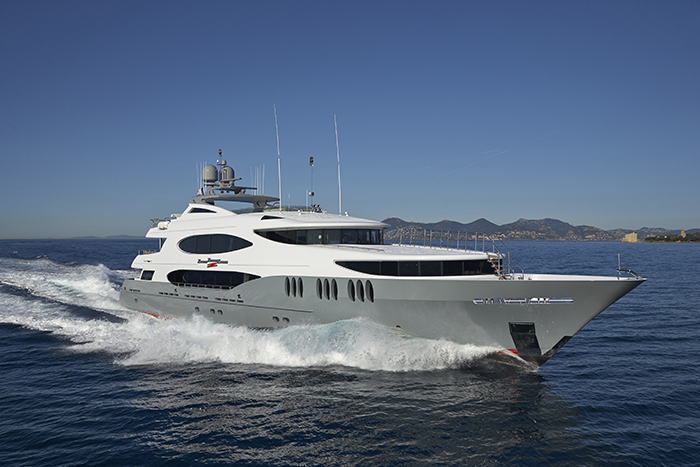 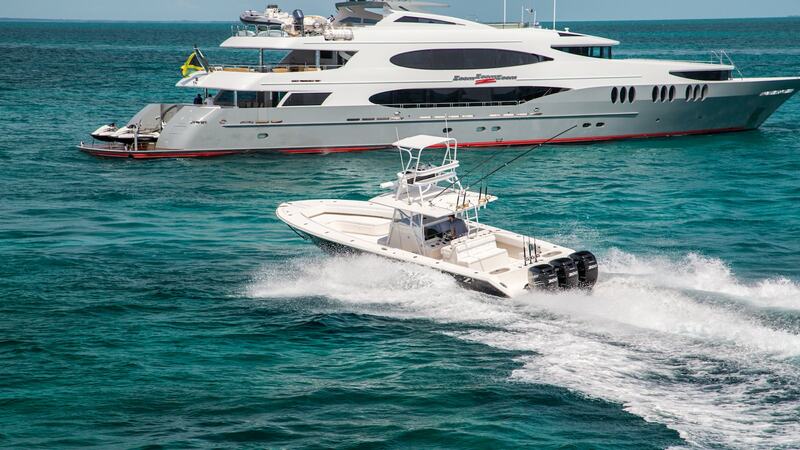 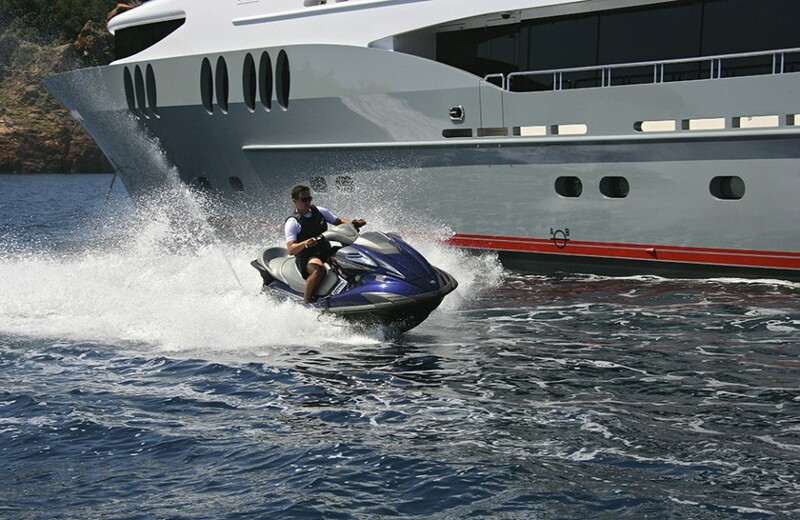 Designed and built entirely by Trinity Yachts, Zoom Zoom Zoom is a sleek and modern motor yacht. 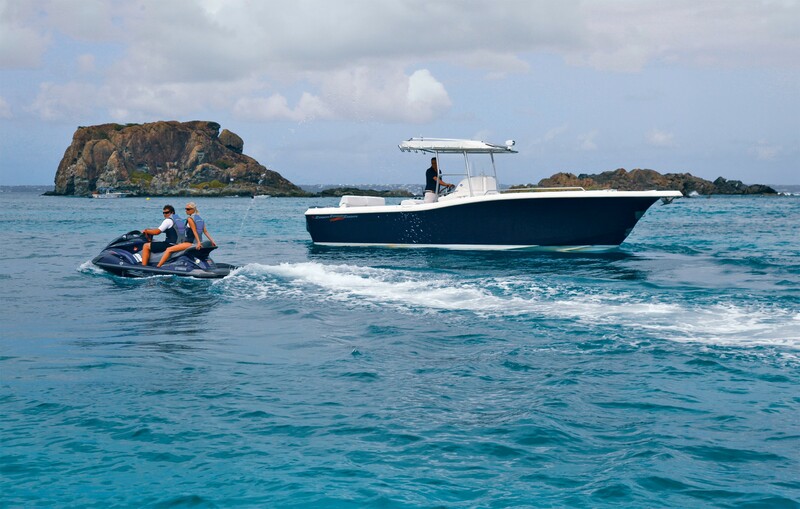 Her radical lines truly integrate style, elegance as well as performance. 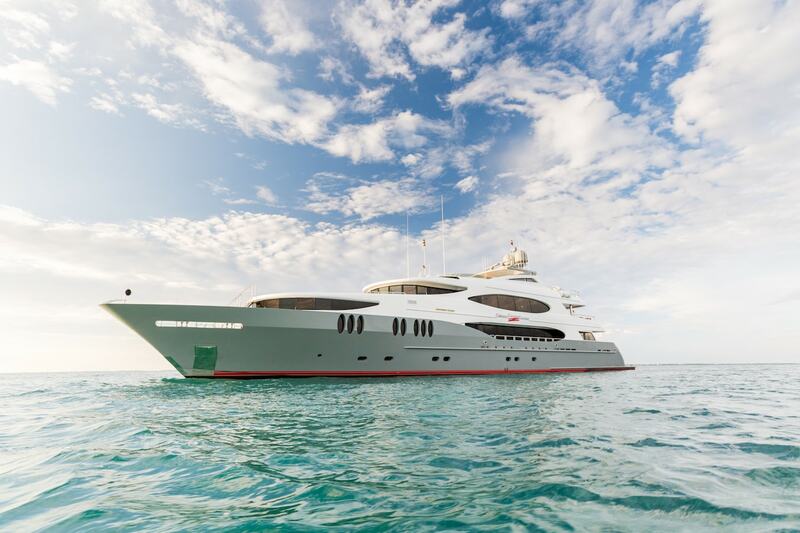 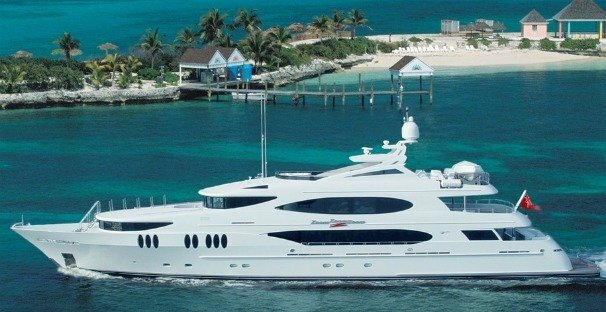 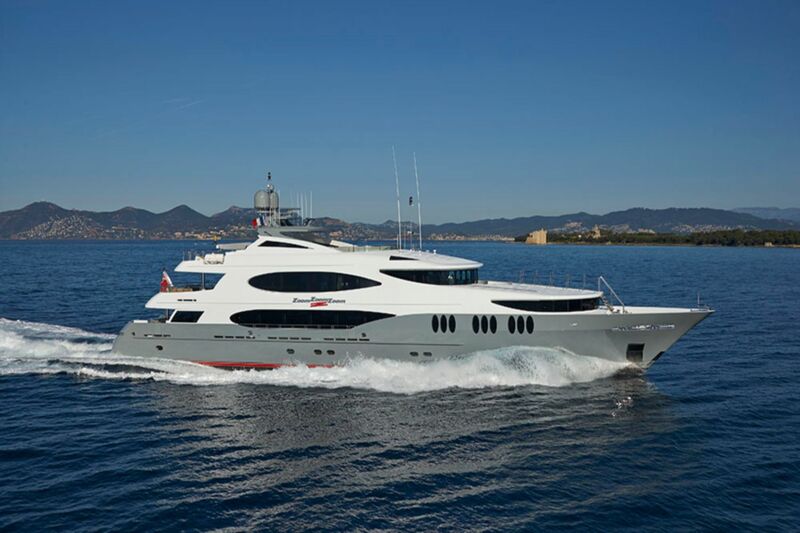 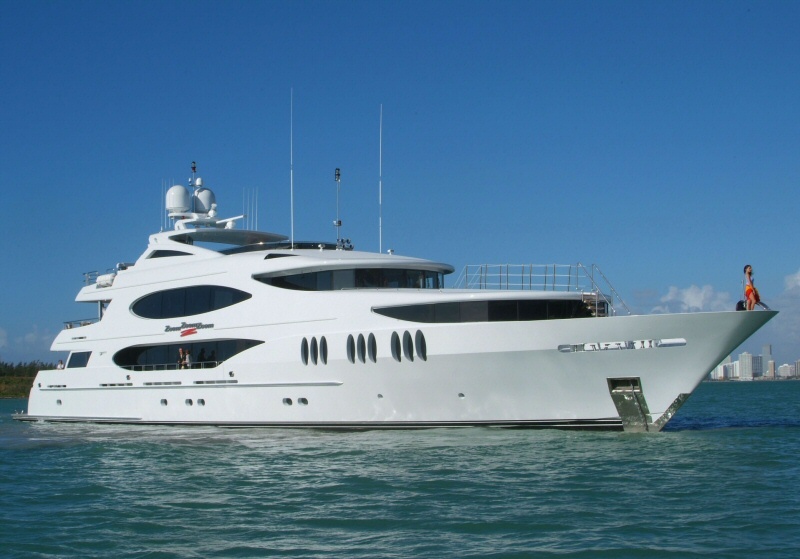 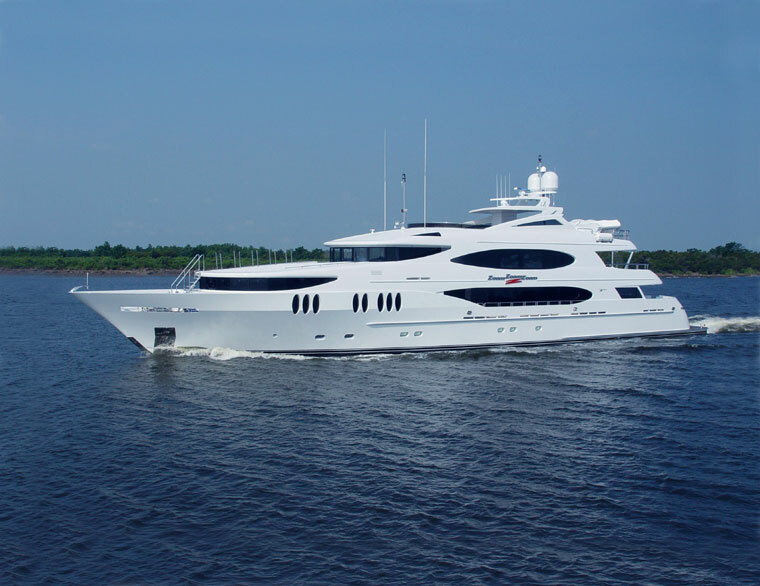 While this motor yacht was launched in 2005, she still presents beautifully as she had a complete hull and superstructure repaint in 2009 and a further refit in 2014. 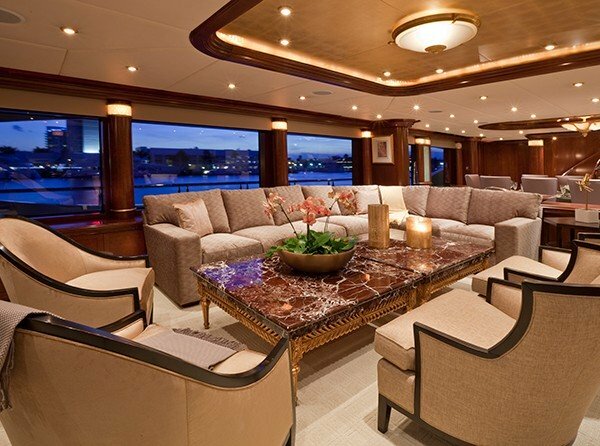 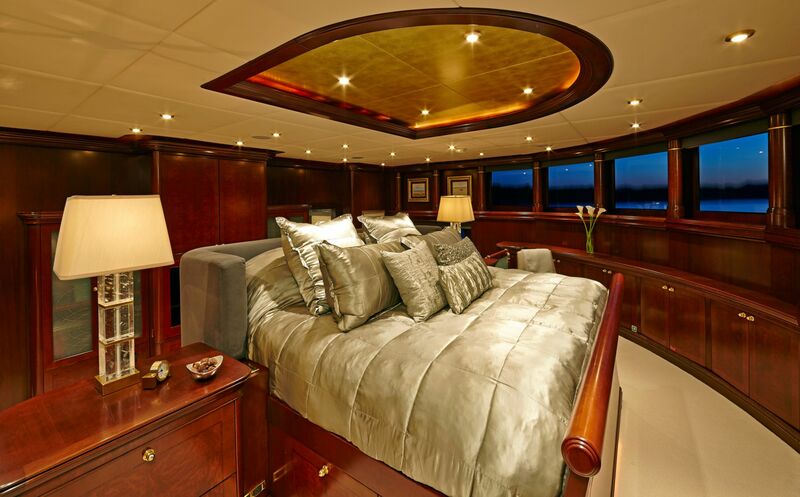 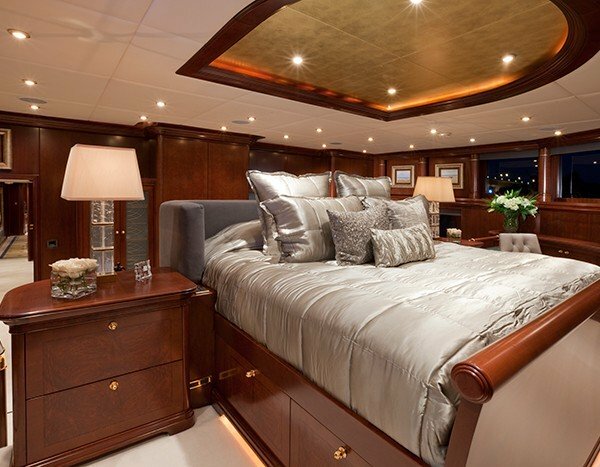 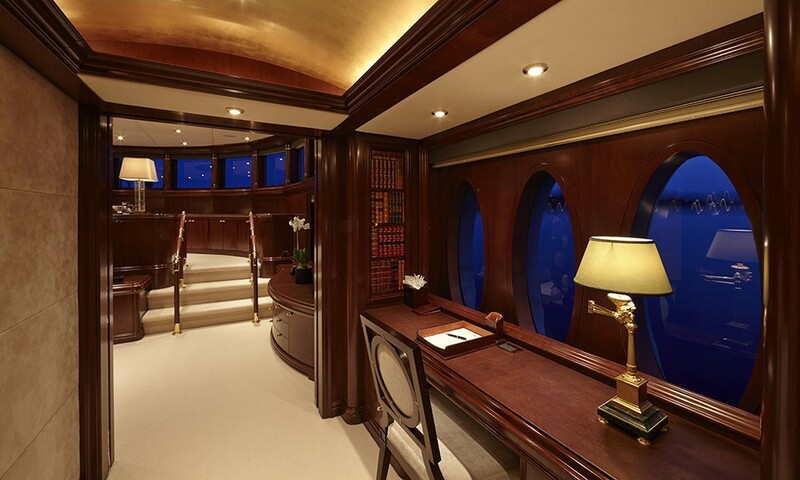 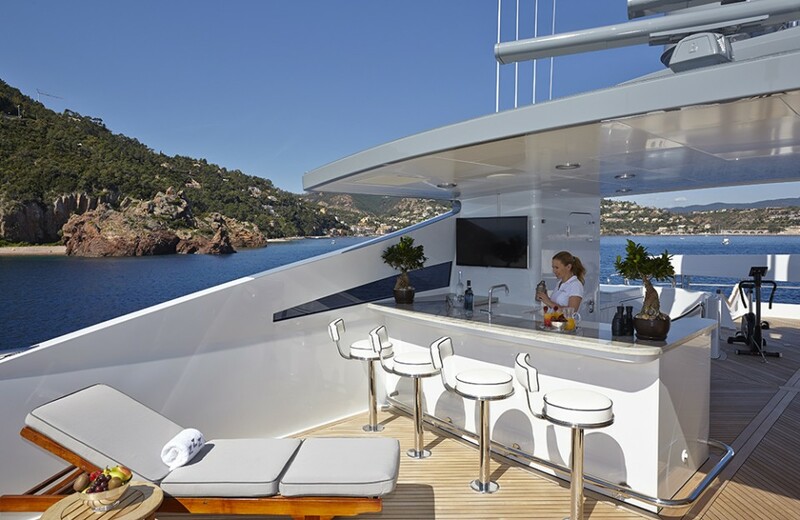 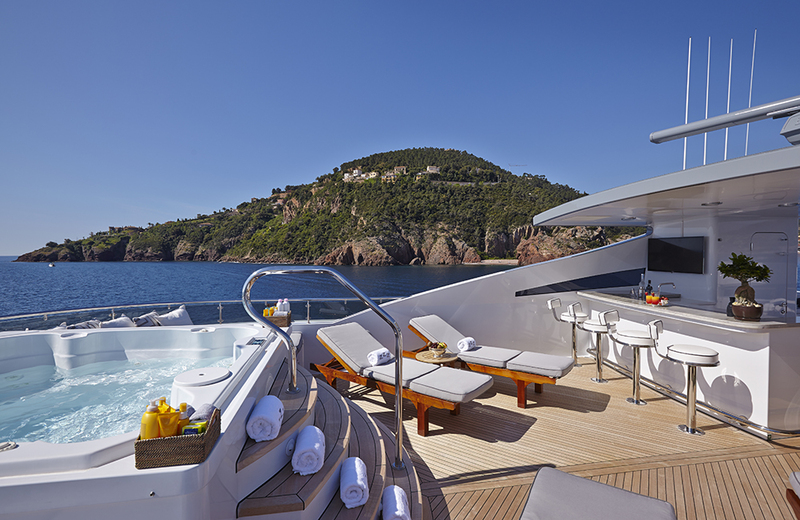 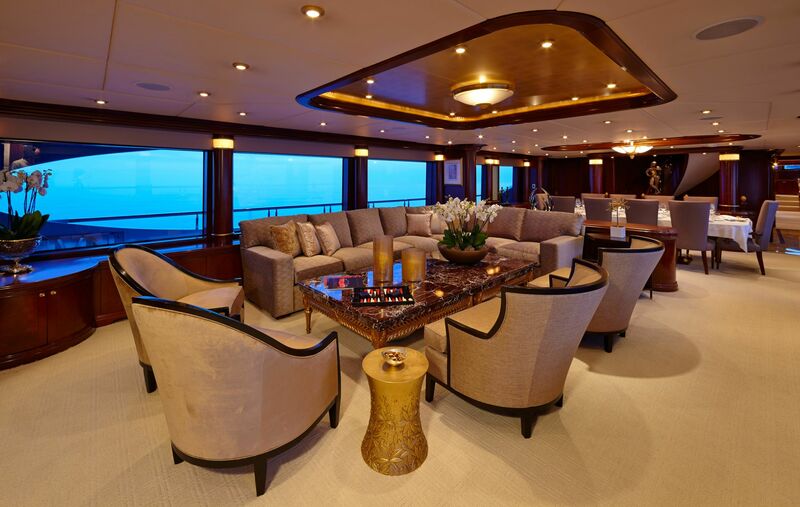 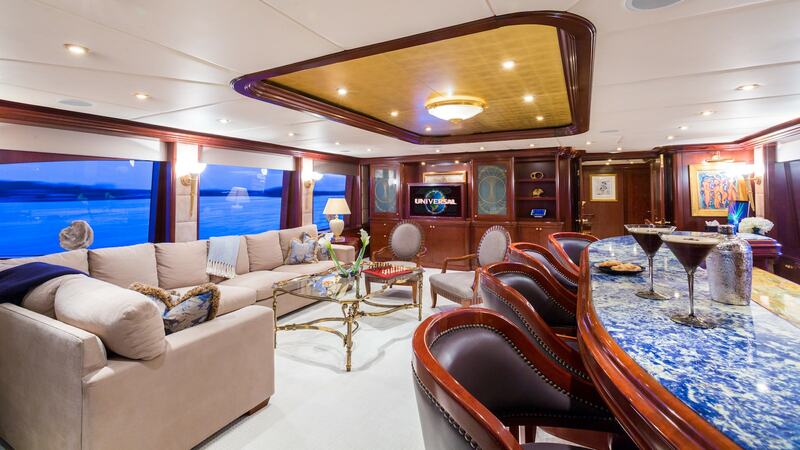 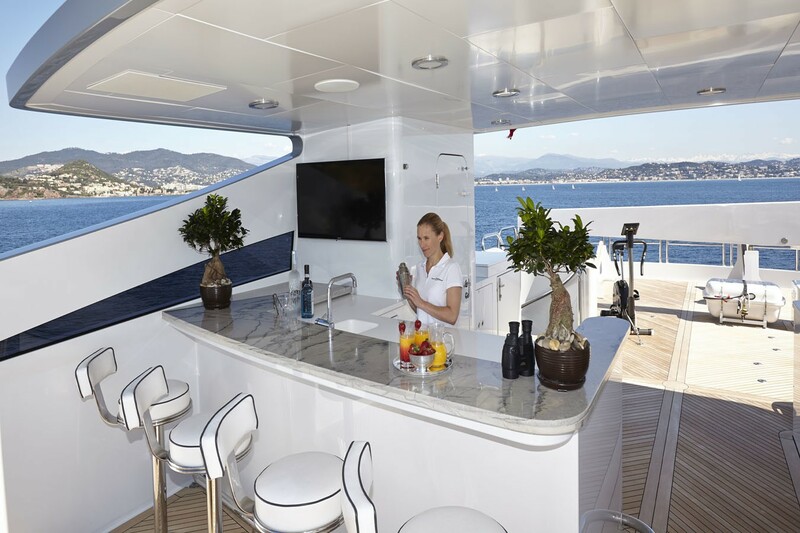 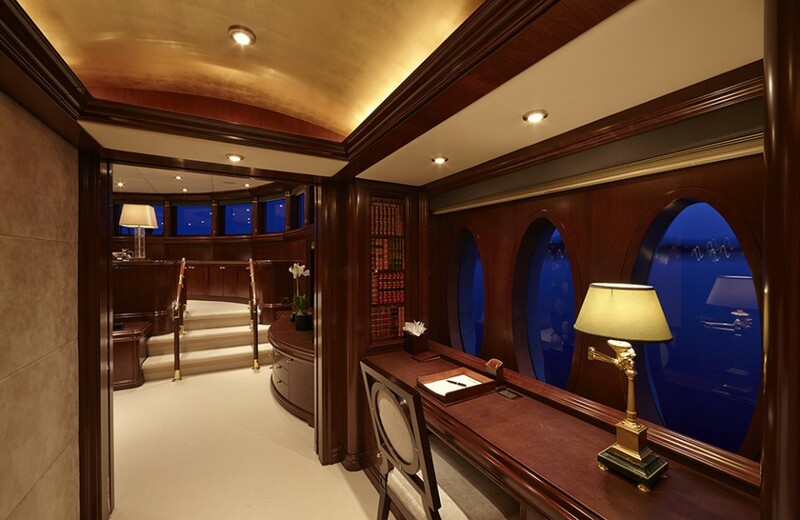 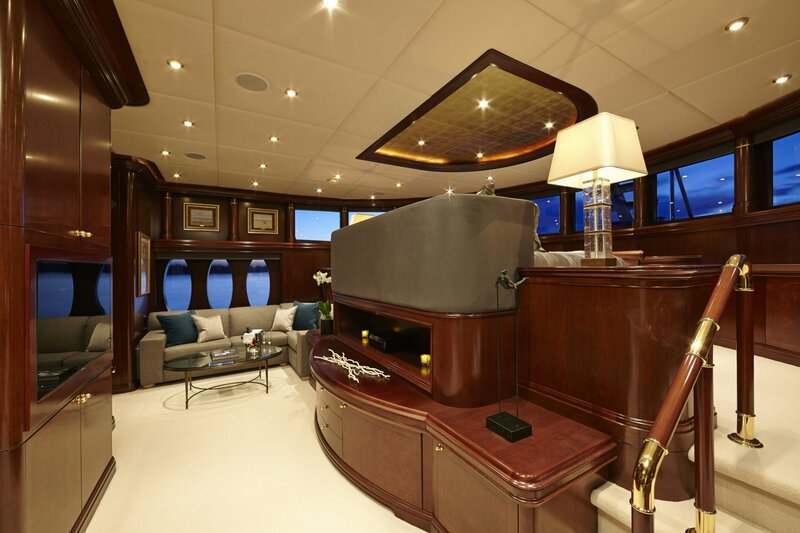 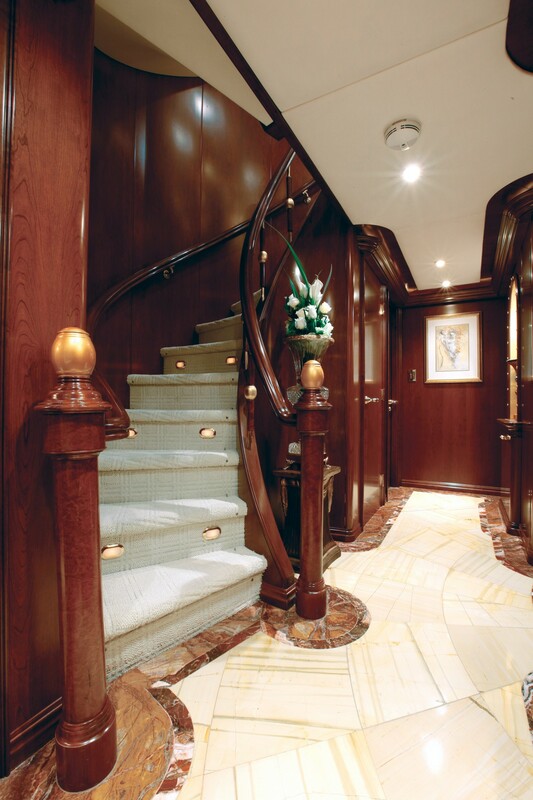 The interior designer, Evan Marshall, paid great attention to the detail and had managed to create an air of elegance and sophistication on every level of the yacht. 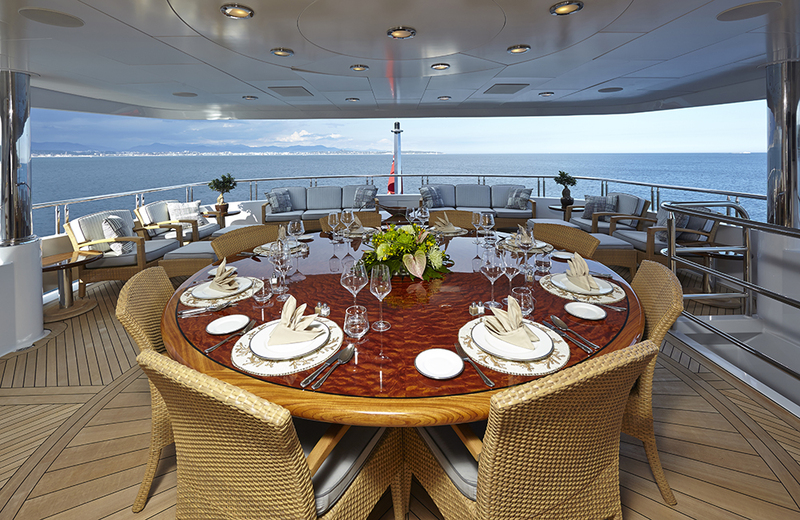 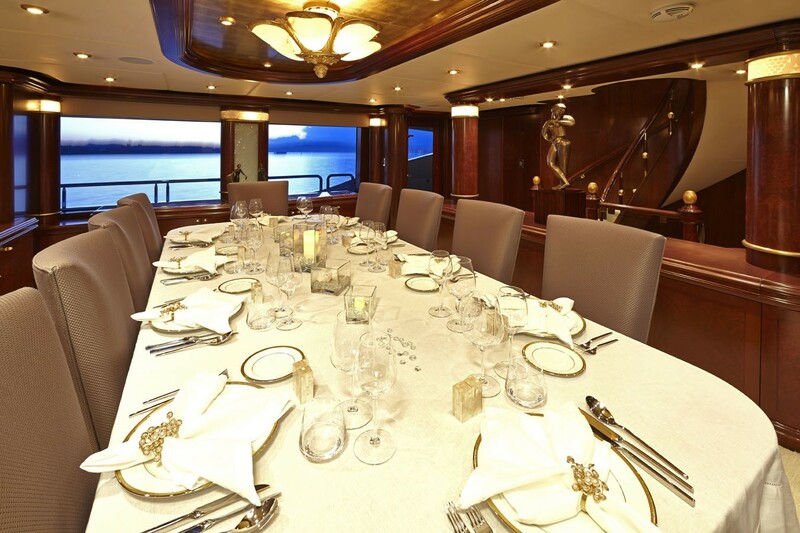 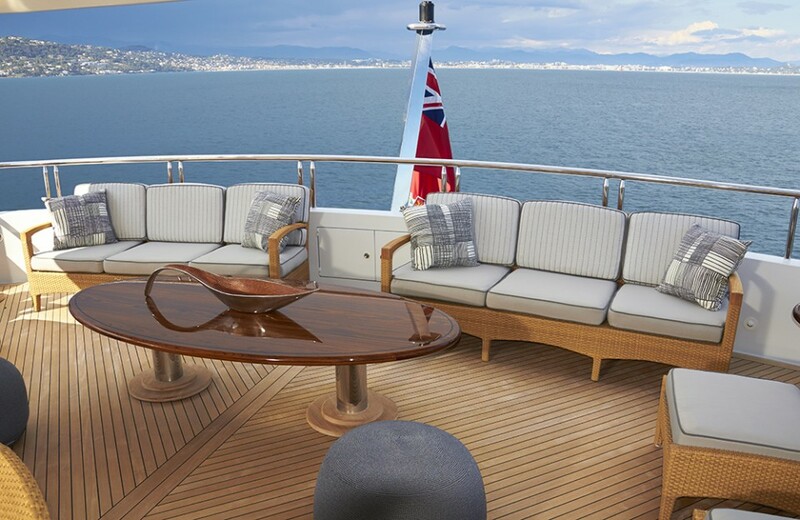 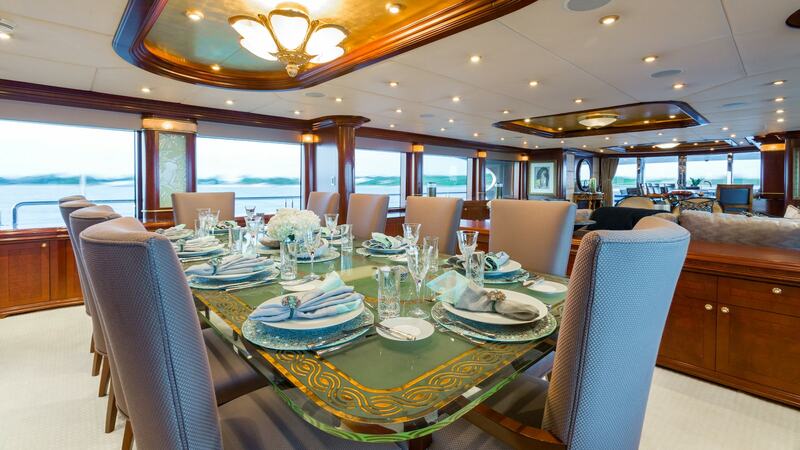 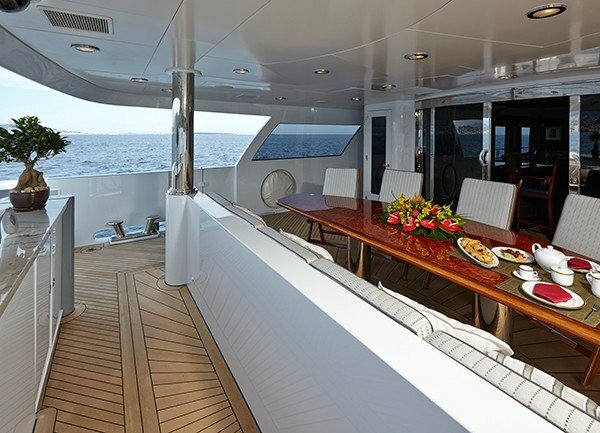 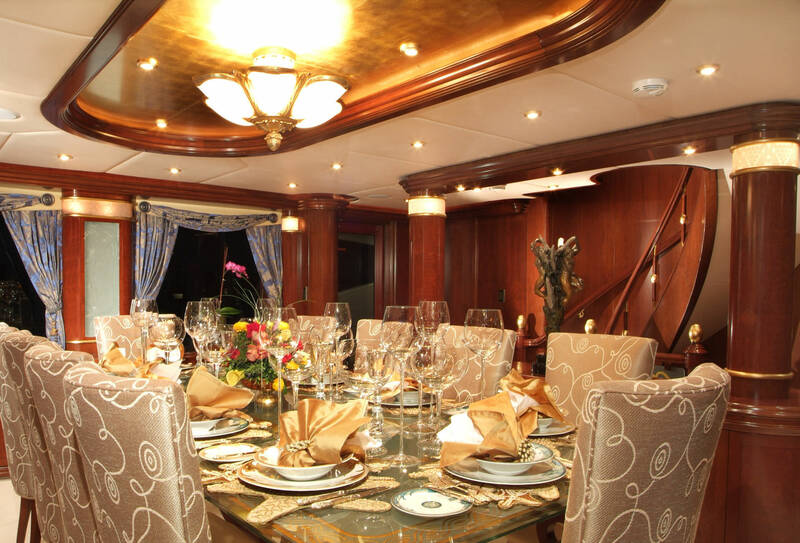 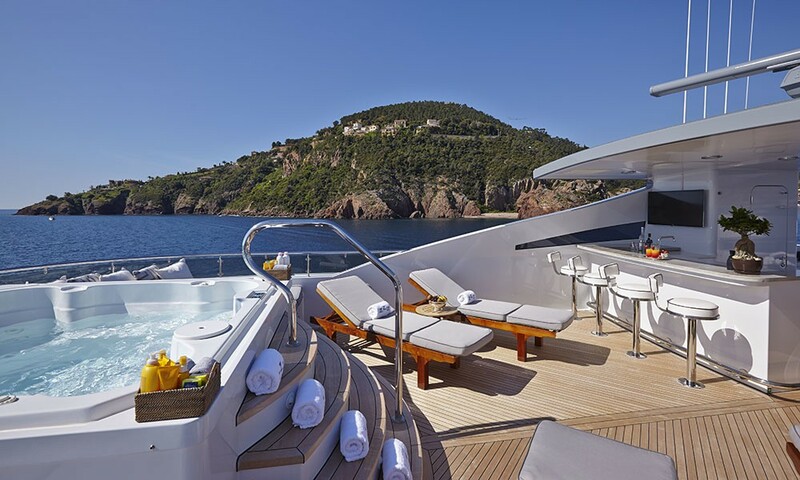 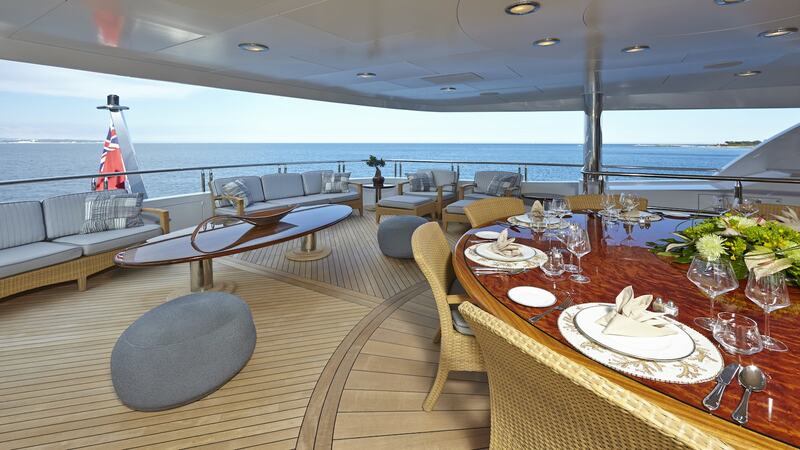 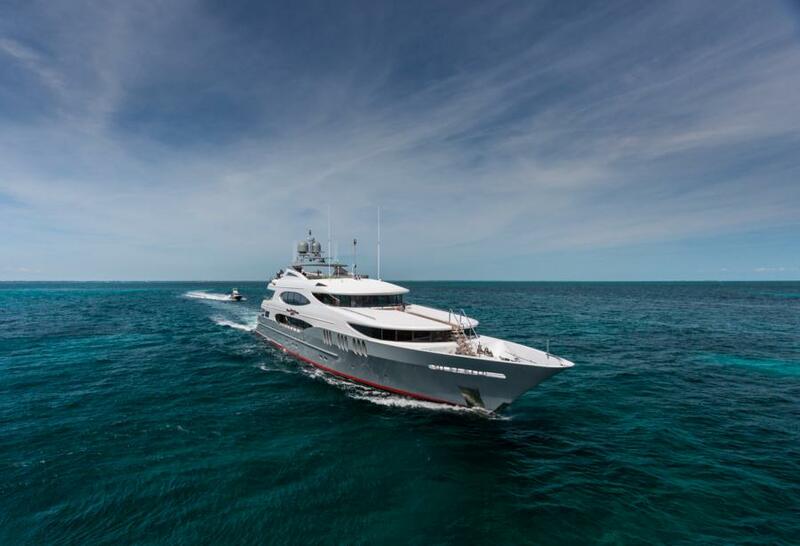 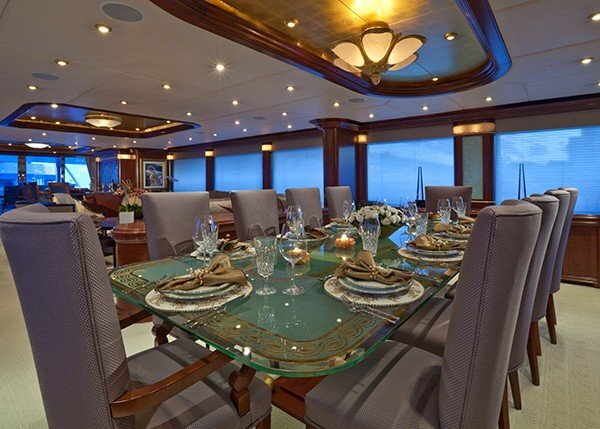 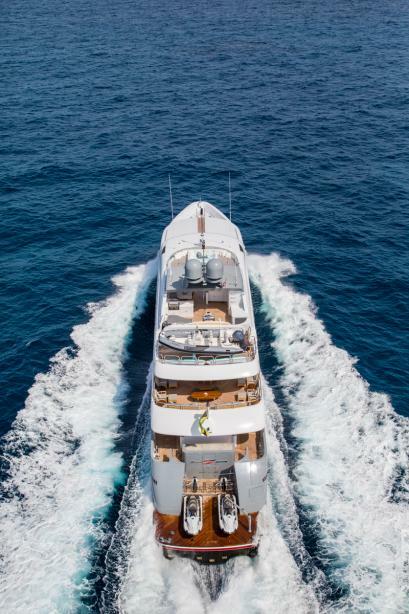 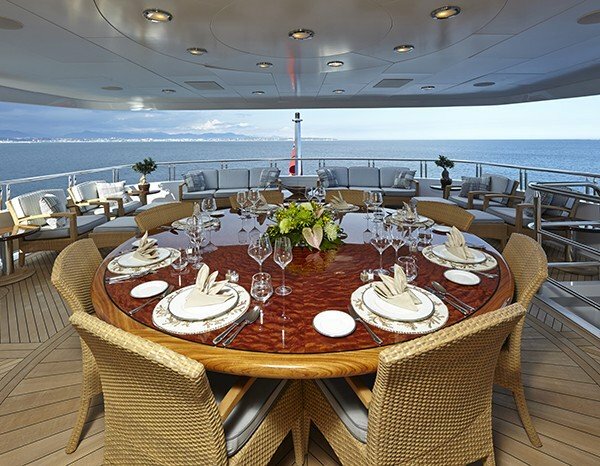 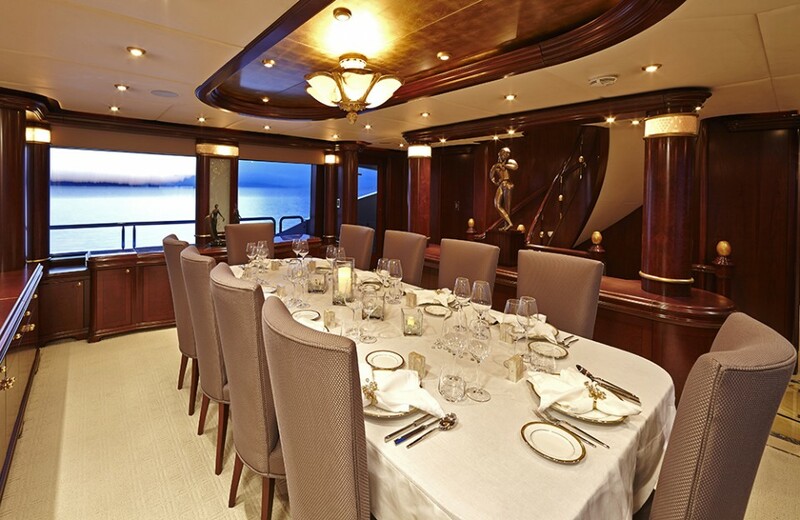 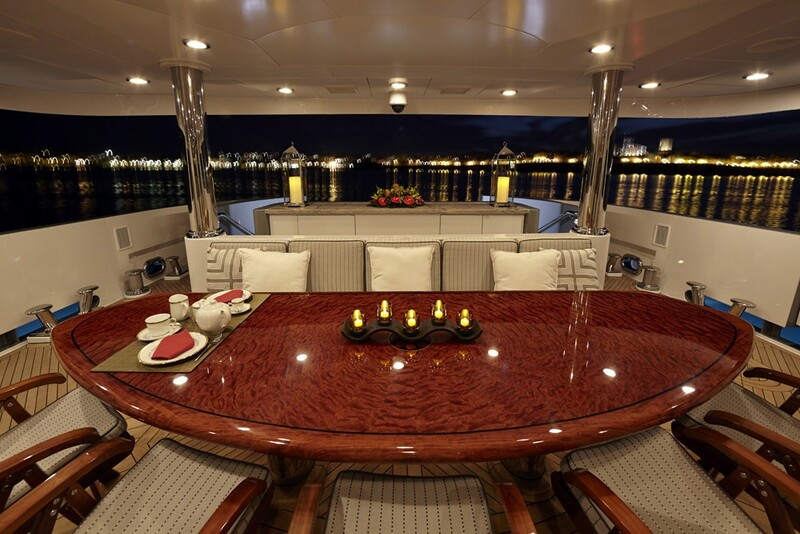 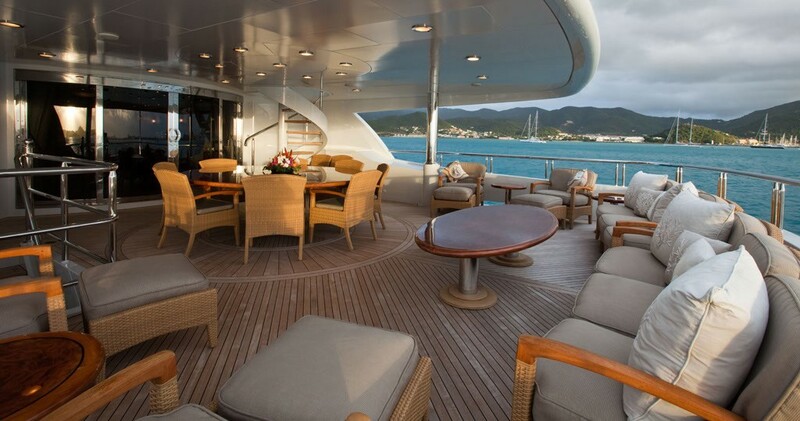 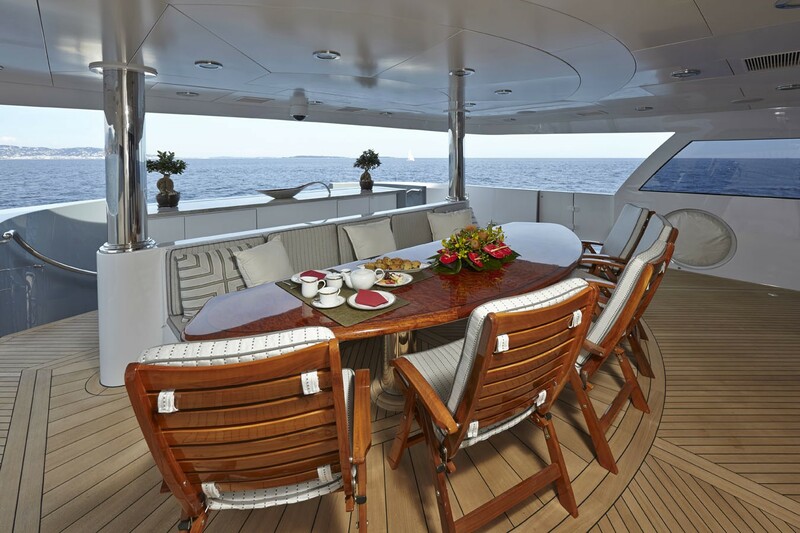 While dining on board, you can choose elegance and grace in the yacht’s enclosed dining room or a more relaxed alfresco dining experience on the air-conditioned aft exterior main deck, the aft exterior pilothouse deck or on the sundeck. 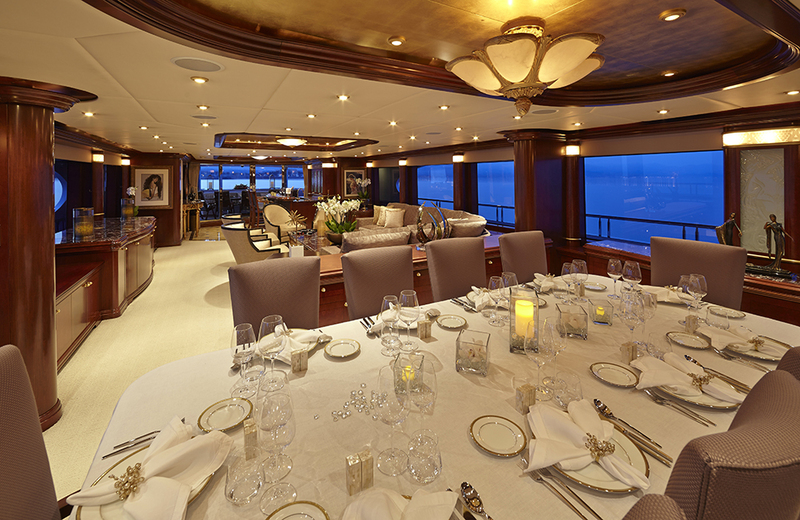 The full beam sky lounge will allow you to entertain guests in either a formal or casual atmosphere. 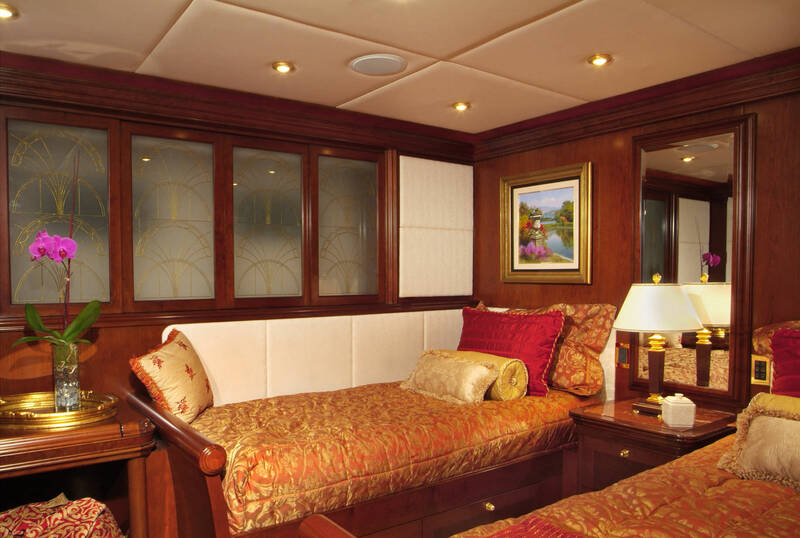 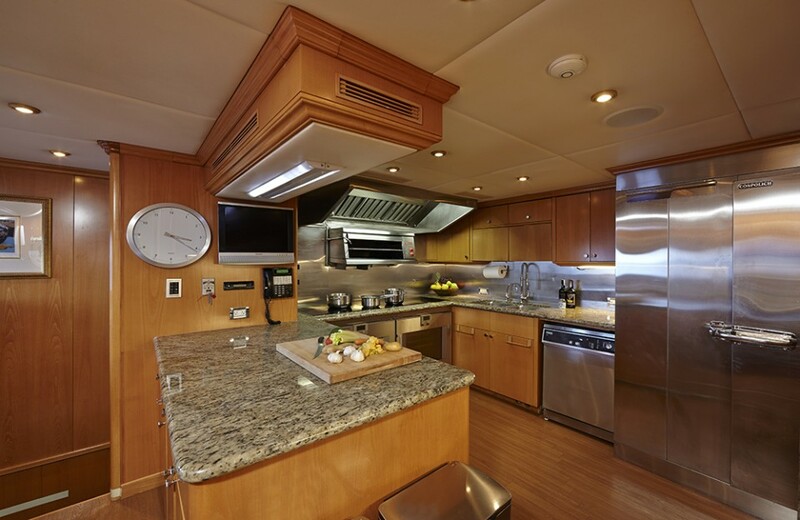 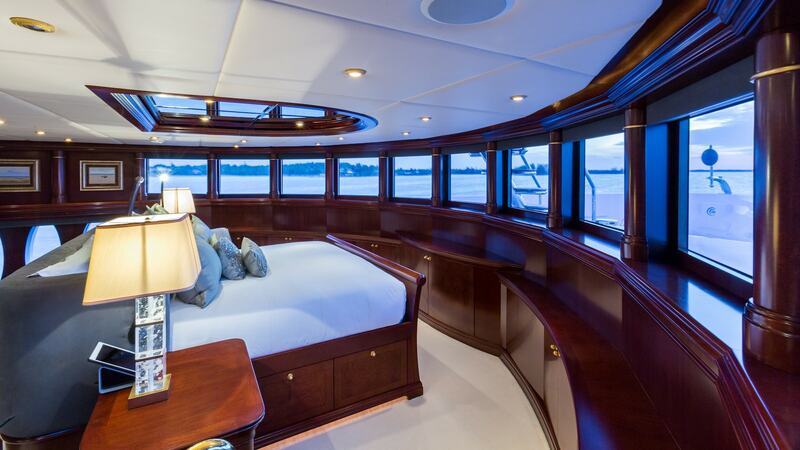 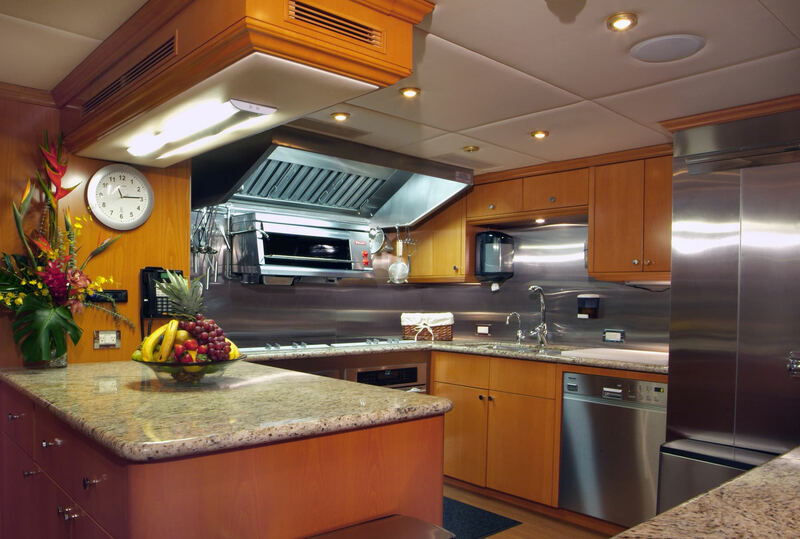 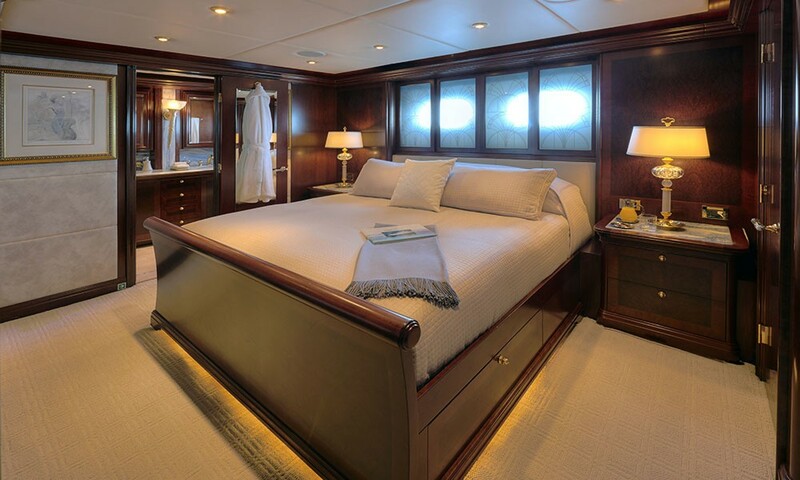 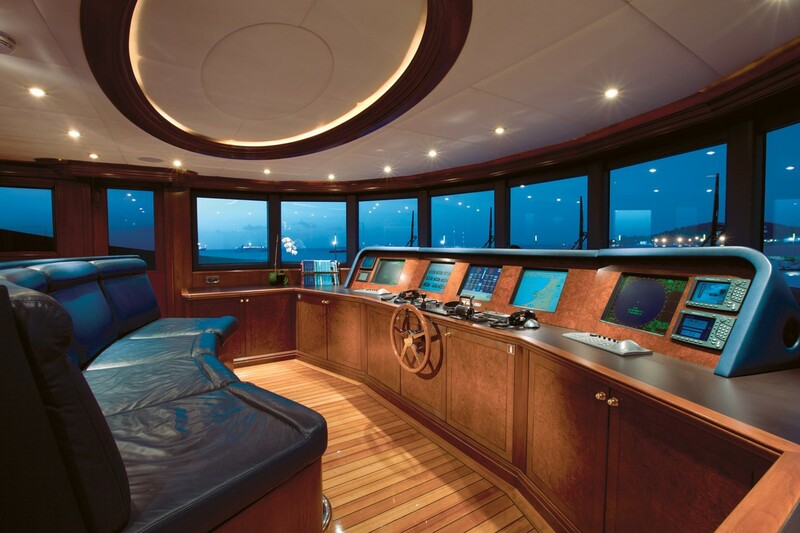 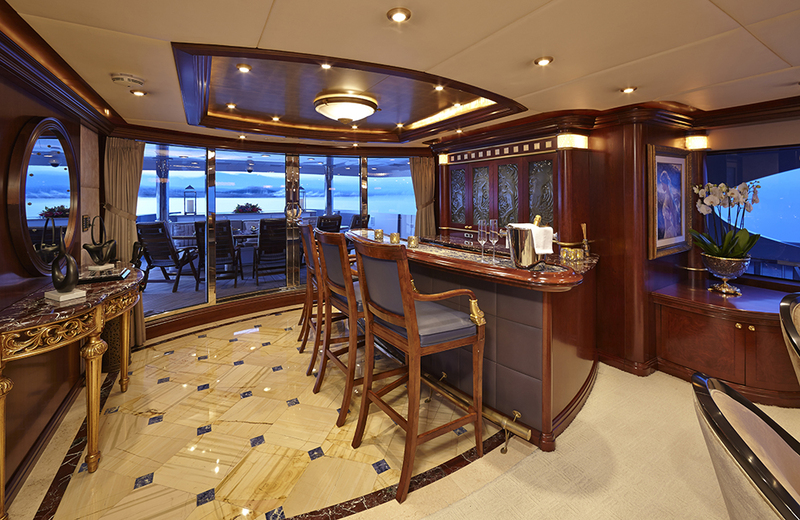 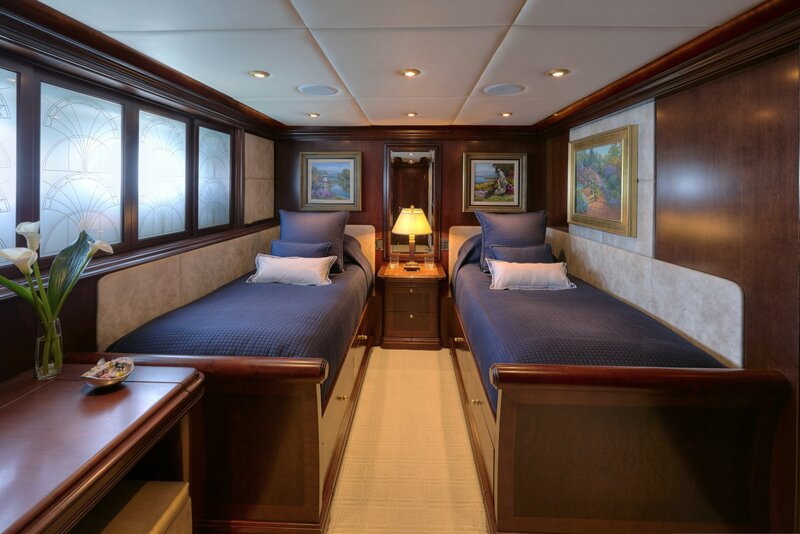 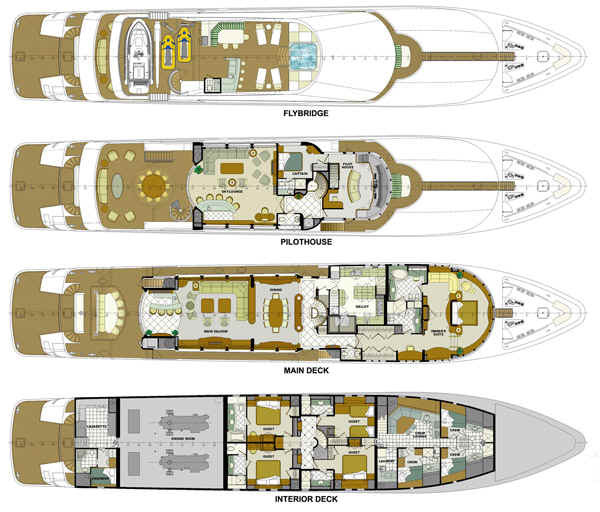 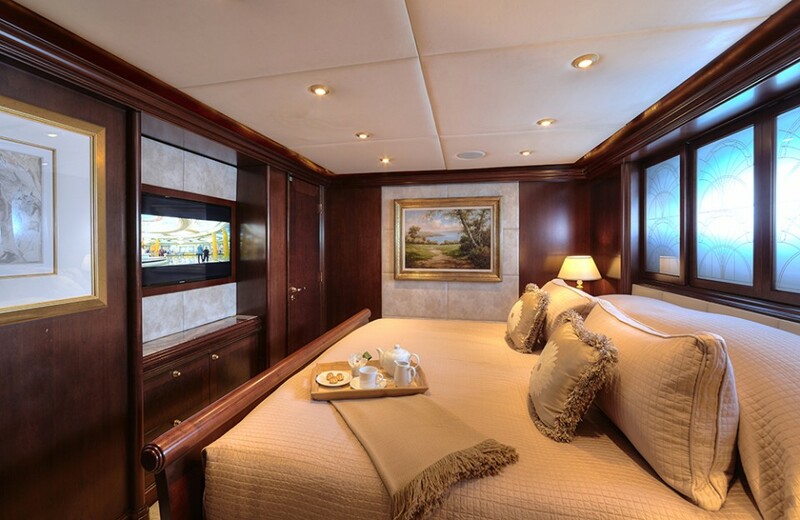 The split level main master stateroom, with forward facing vertical windows, adds to the yachts distinguishing profile. 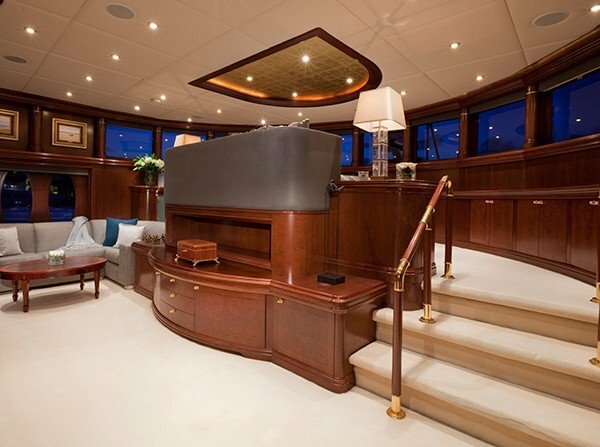 Vertical oval windows on the port and starboard sides allow ample light into her interior while providing a change of exterior design texture vis-à-vis her smooth curvaceous and continuous horizontal lines. 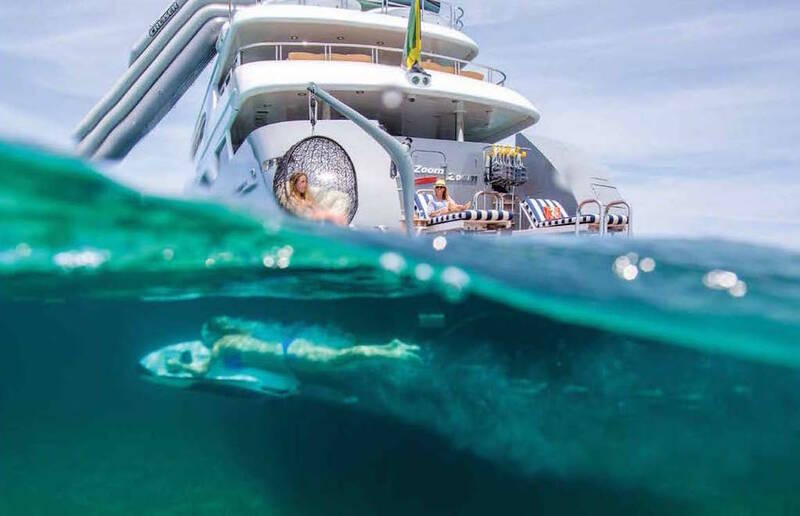 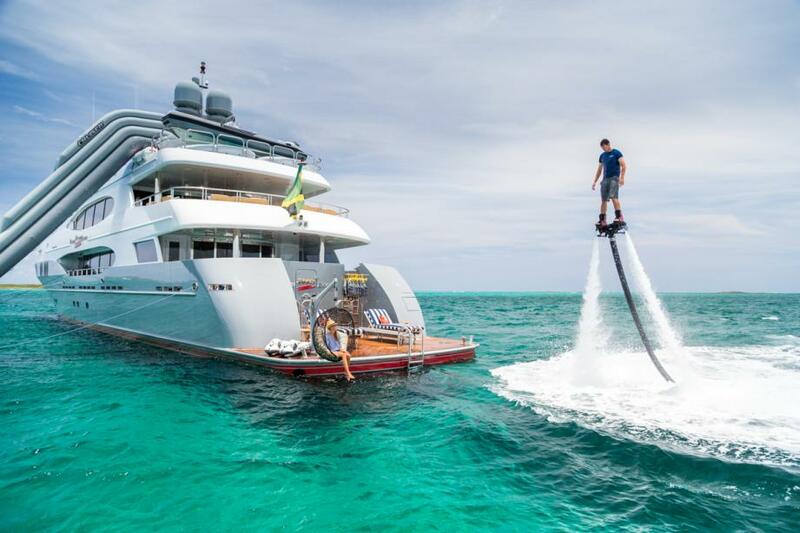 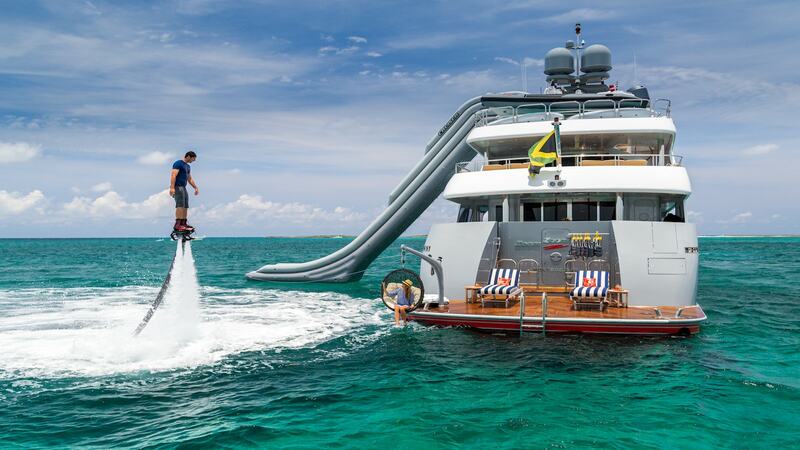 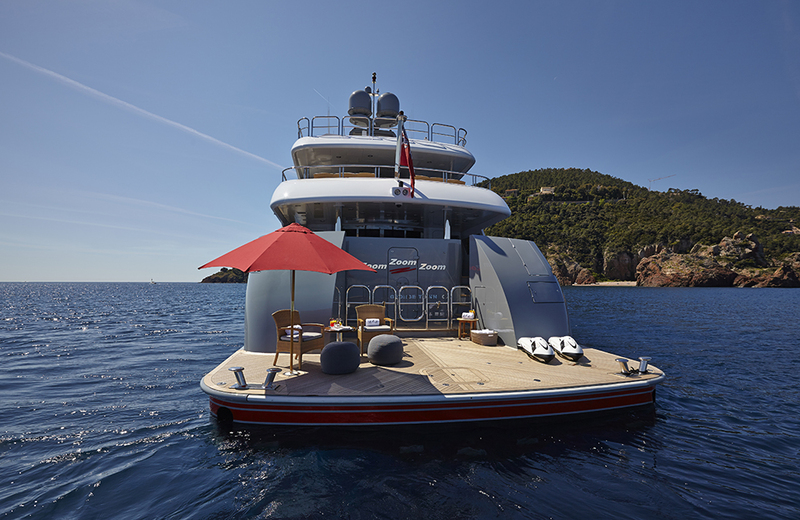 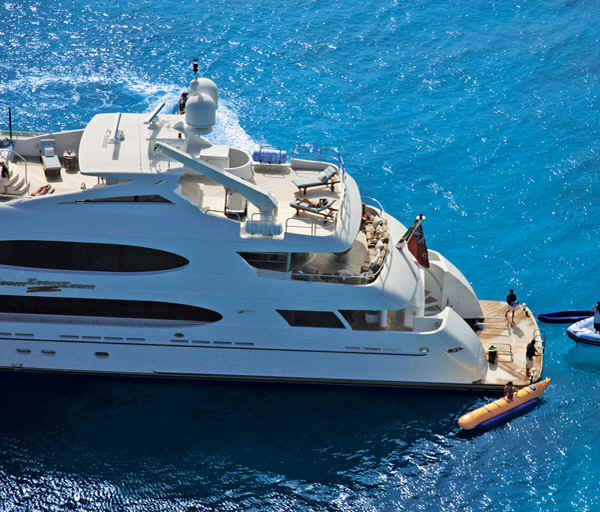 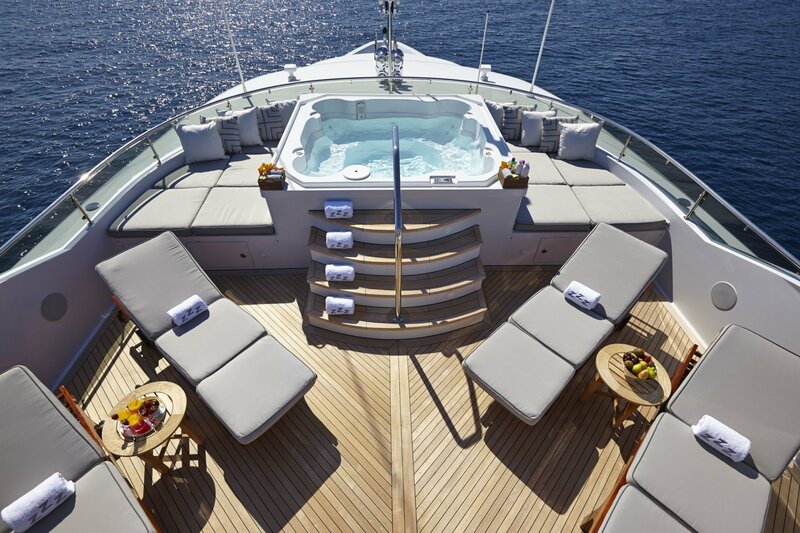 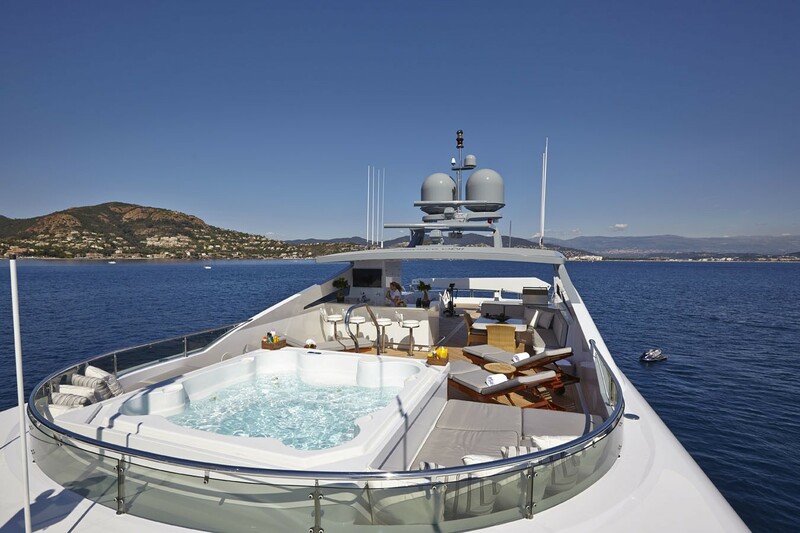 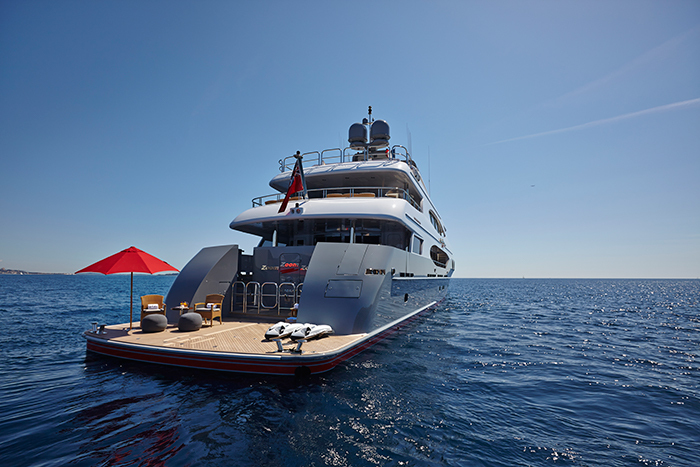 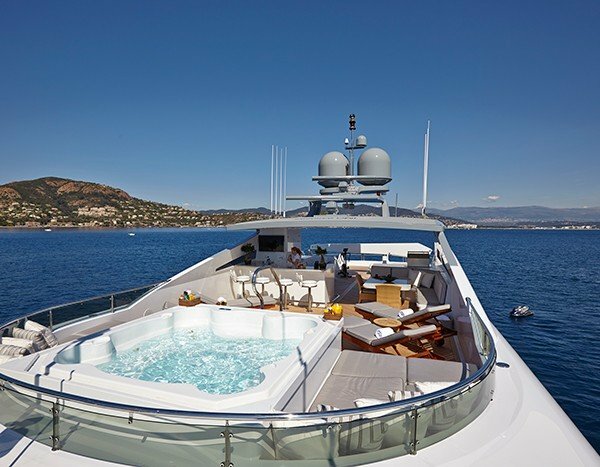 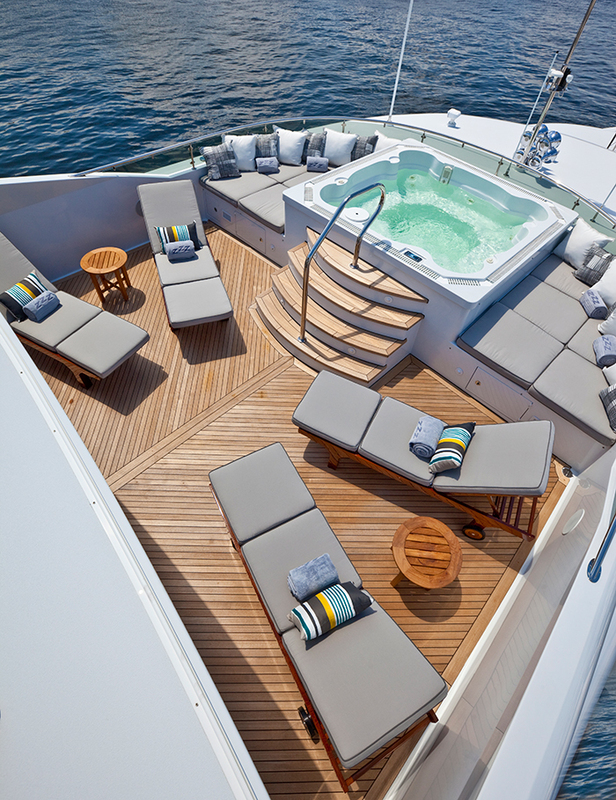 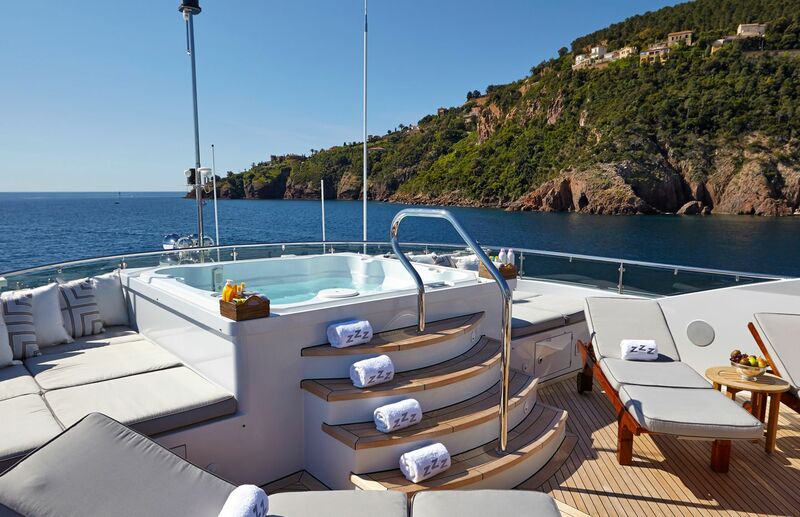 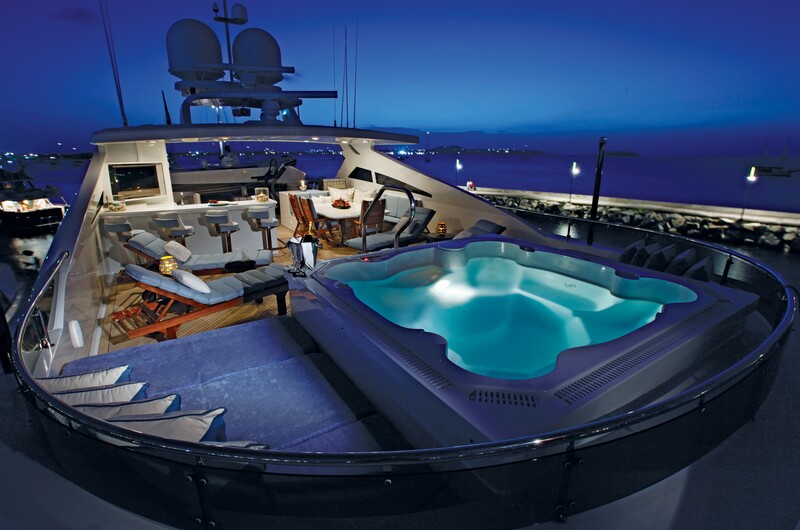 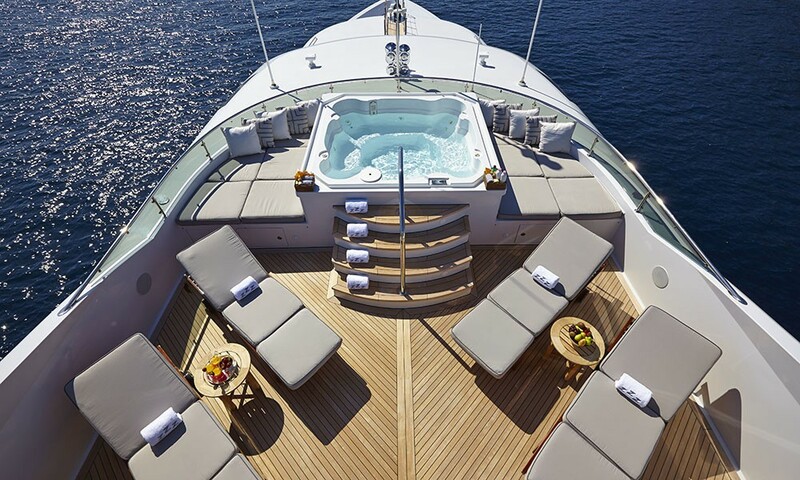 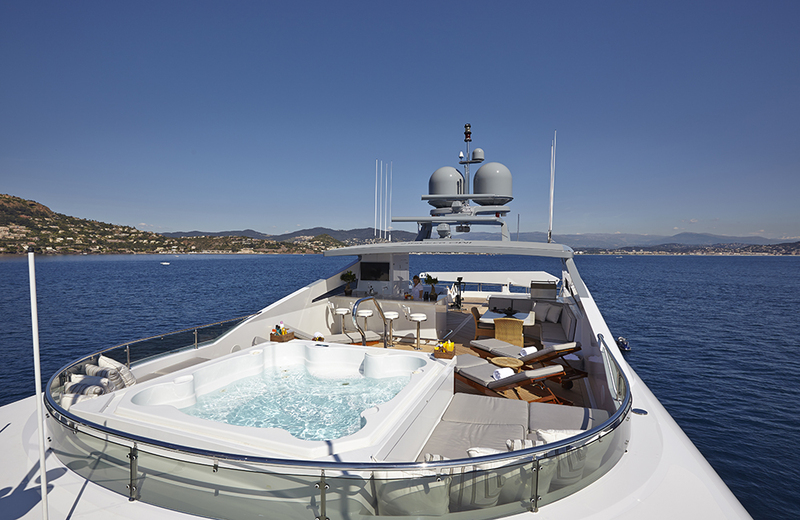 The popular extended stern swim platform is becoming something of a trademark for the Trinity Yachts. 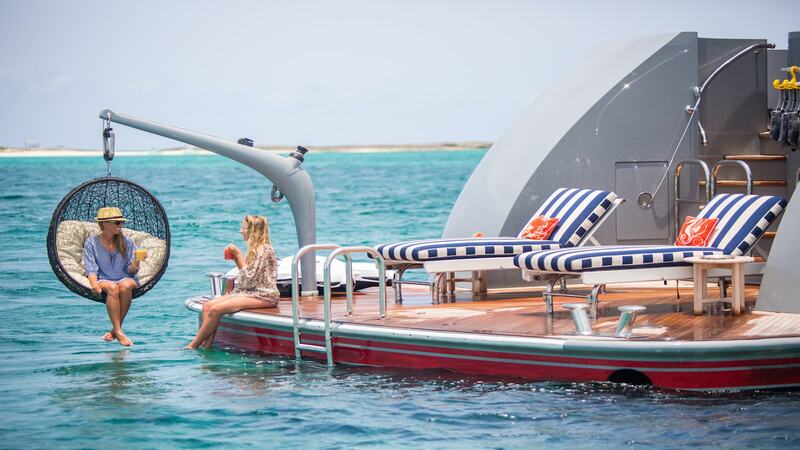 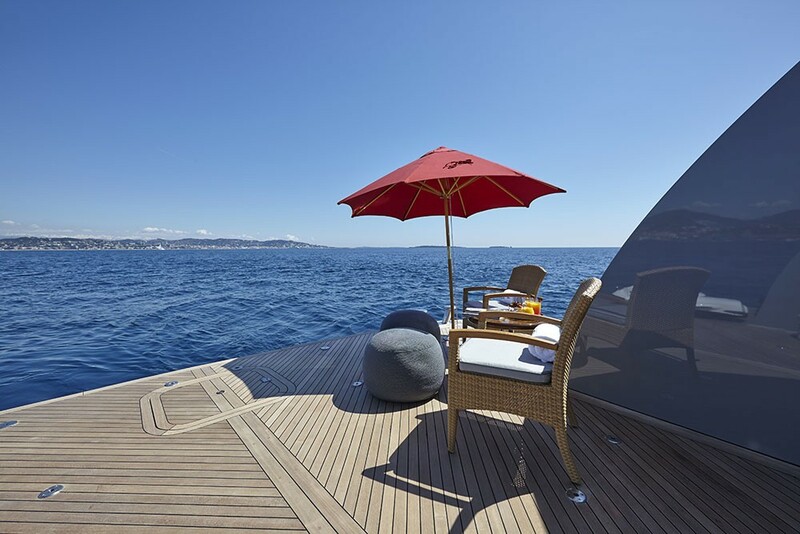 At approximately 14ft the platform has developed into a very functional deck and is large enough to allow casual dining at water level, the setup of a ‘beach club’ and the parking of jet skis. 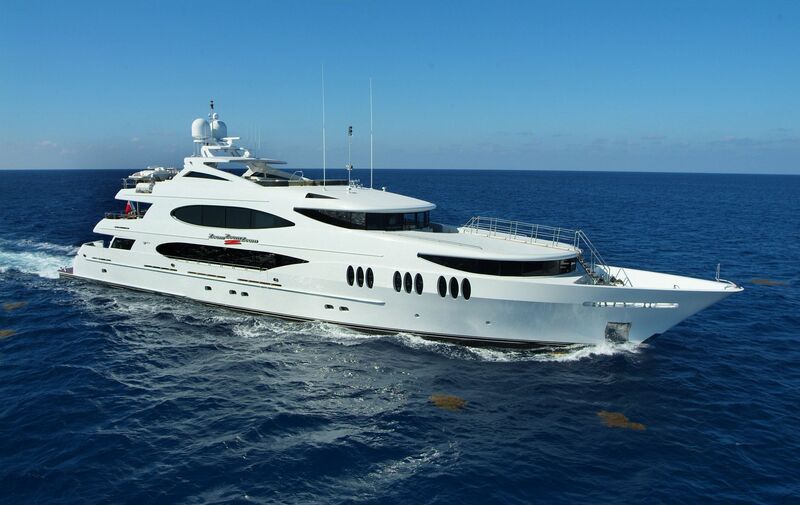 She is also equipped with state of the art audio visual facilities, high-speed internet and communication facilities and an exciting range of water toys. 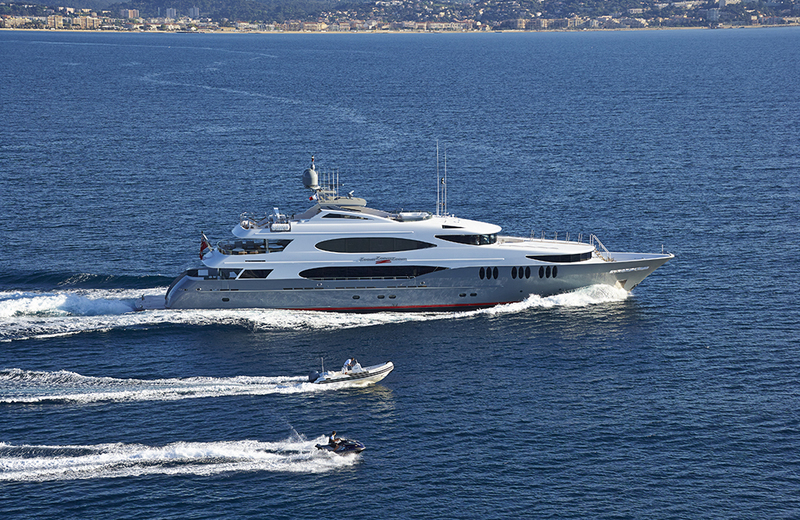 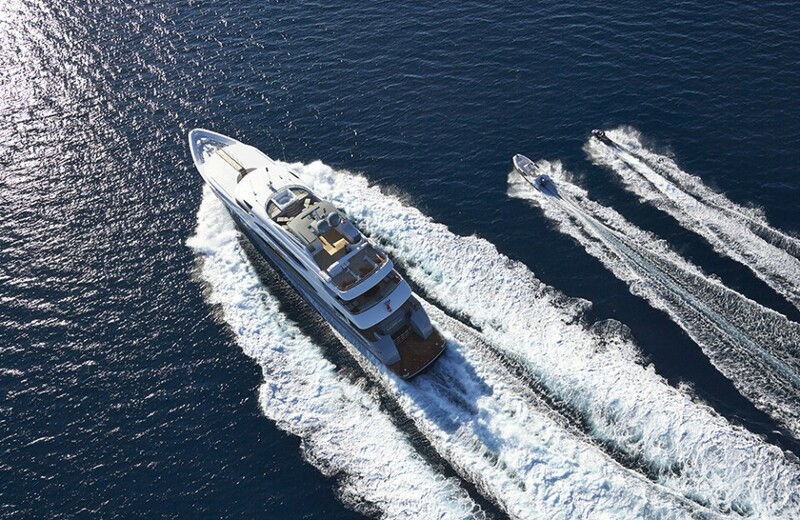 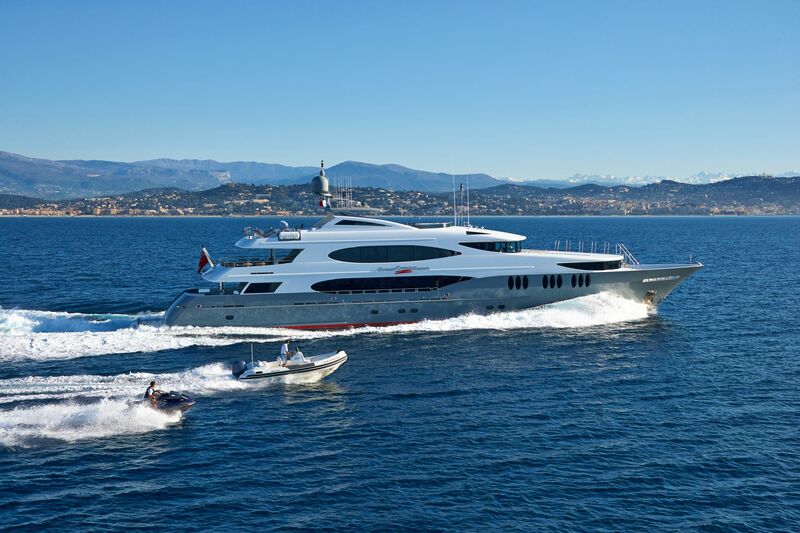 Motor yacht Zoom Zoom Zoom runs with a professional multinational crew of nine. 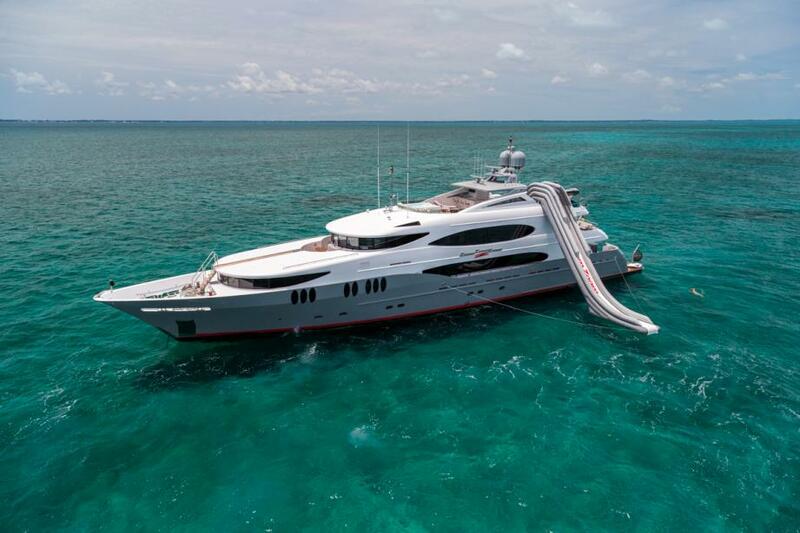 This means she offers a wonderful turn of speed on the water. 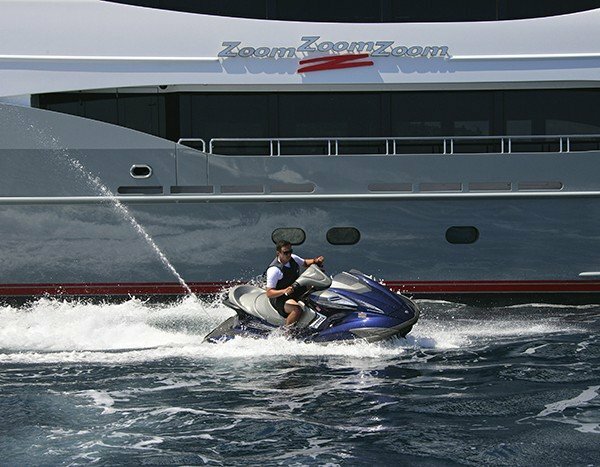 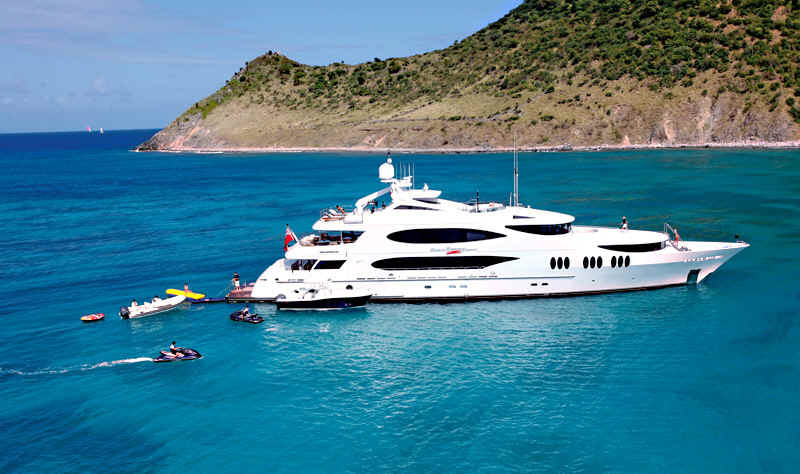 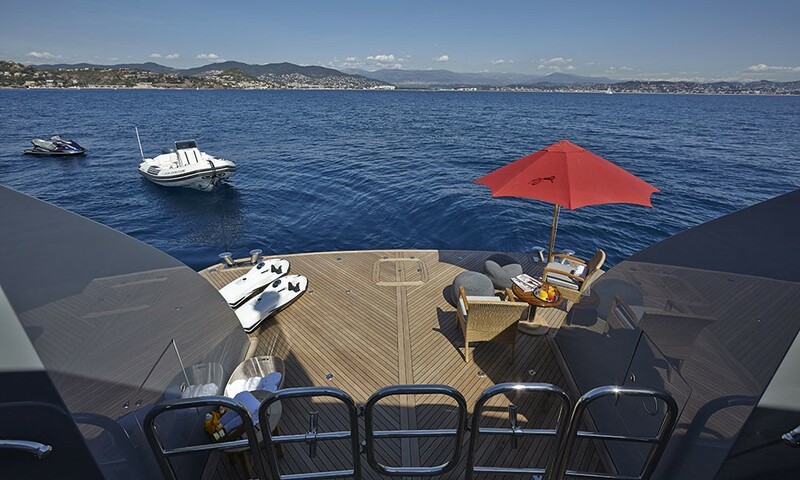 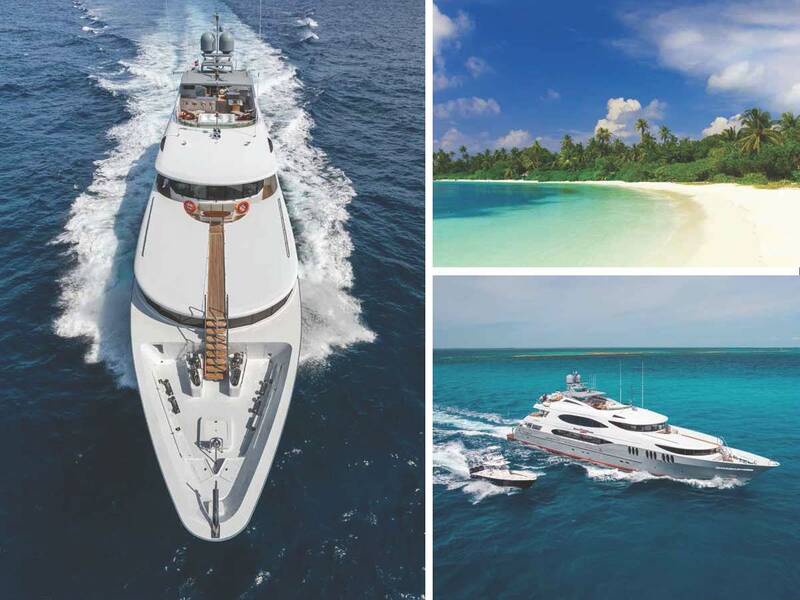 Built by Trinity Yachts, Zoom Zoom Zoom is capable of 23 knots max, and a cruising speed of 14 knots! 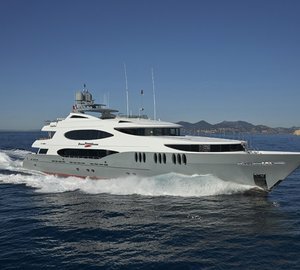 She is powered by two newly developed Caterpillar 3516B HD rated marine engines which produce a powerful 3,384 hp each. 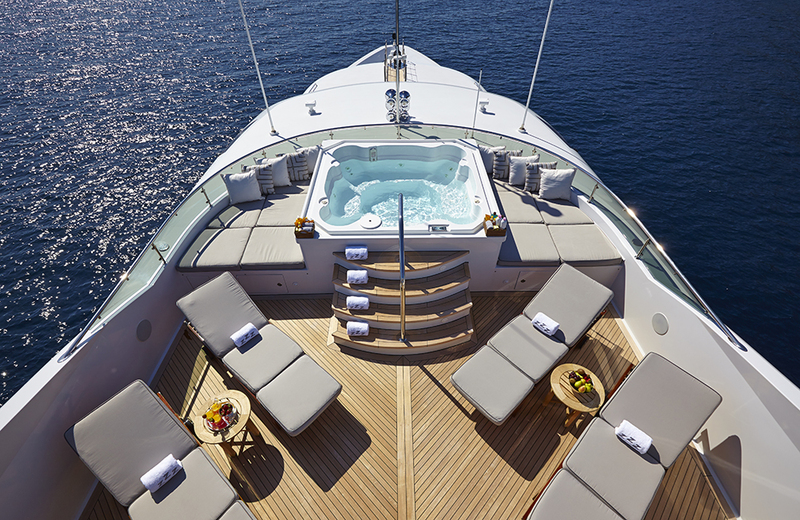 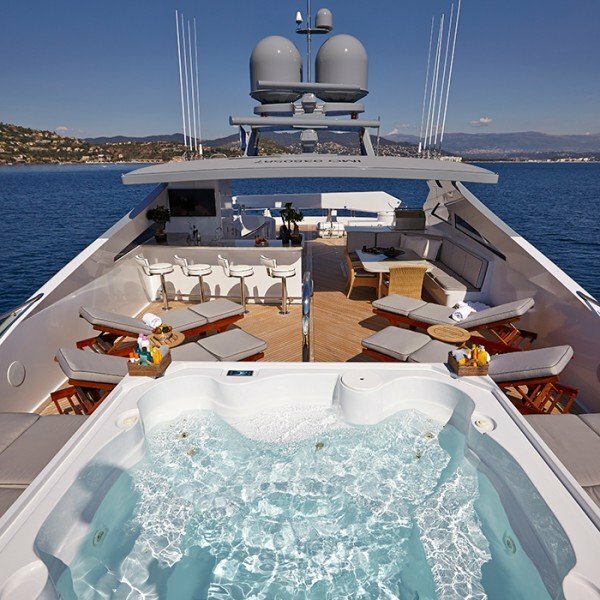 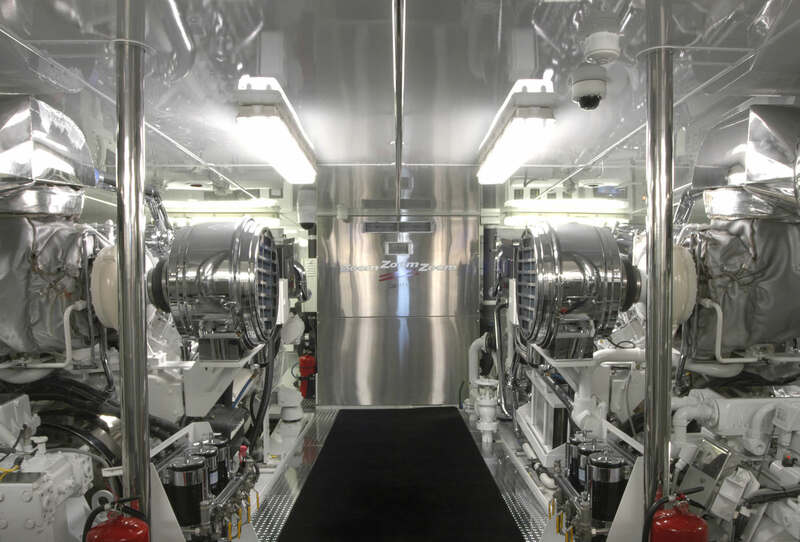 The engines have been encased in a specially designed and engineered sound proof engine room for cruising comfort. 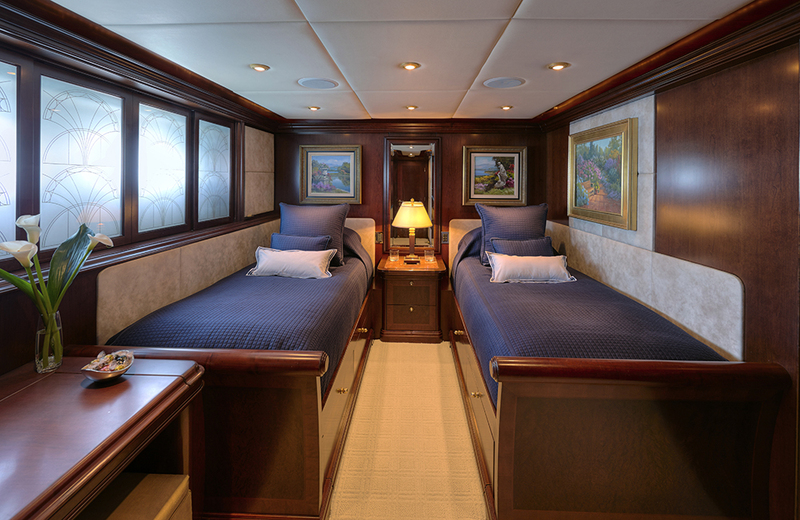 ZOOM ZOOM ZOOM can accommodate a party of up to ten in five cabins (4 doubles and one twin). 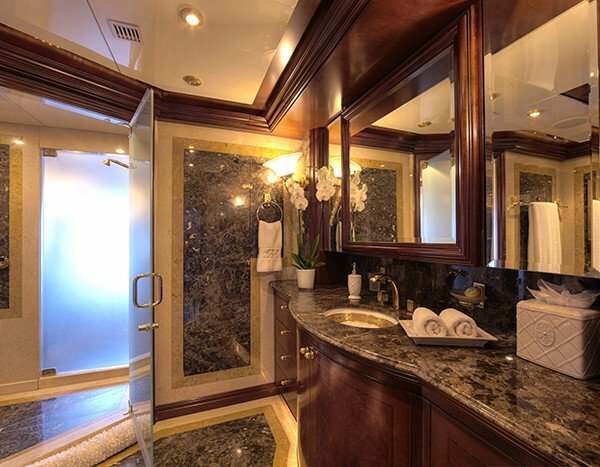 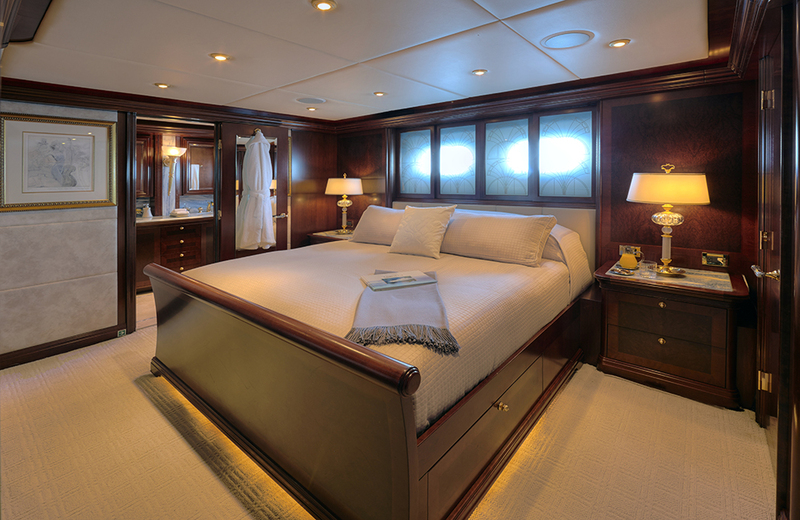 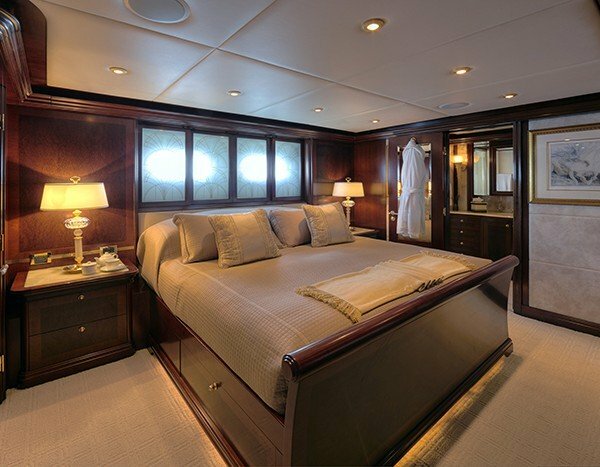 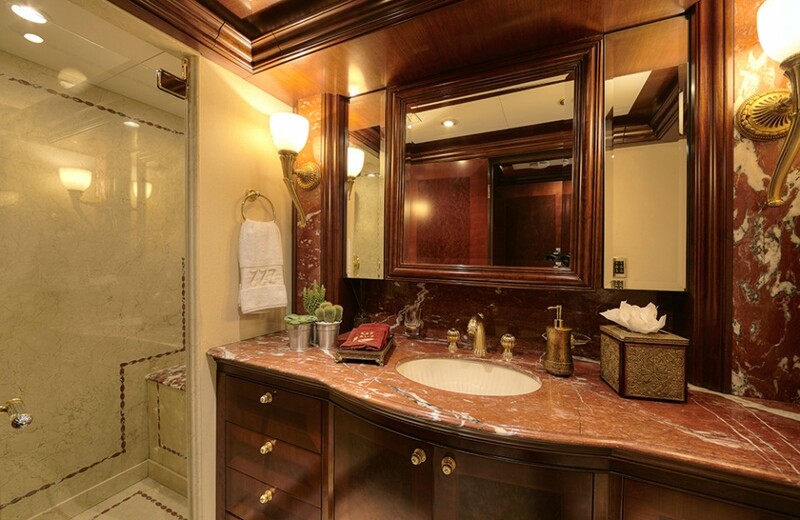 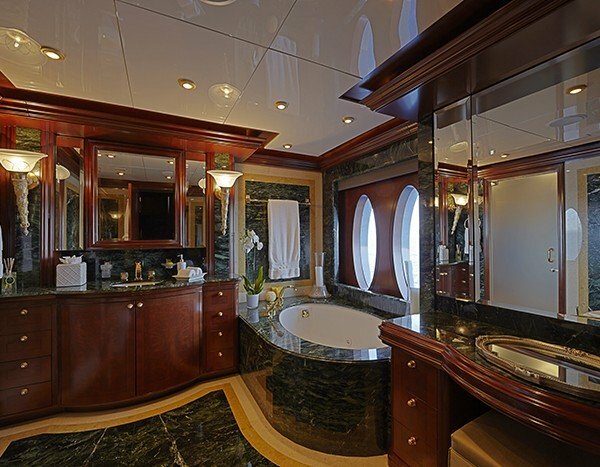 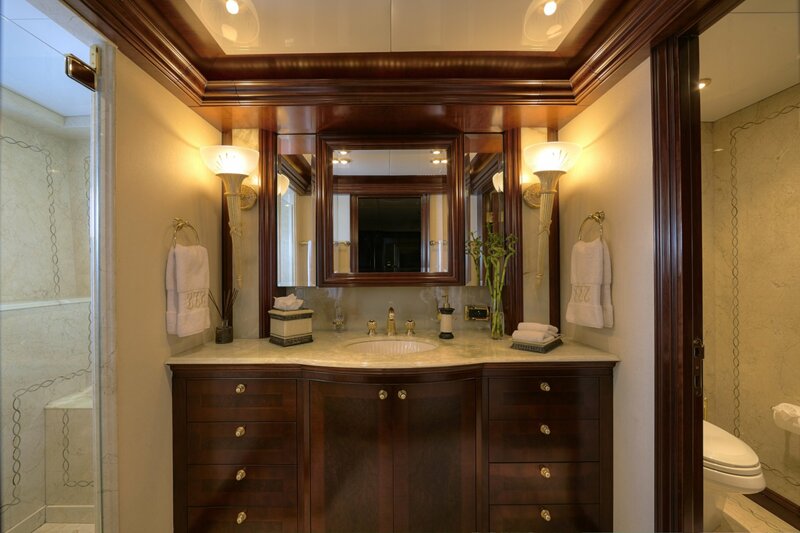 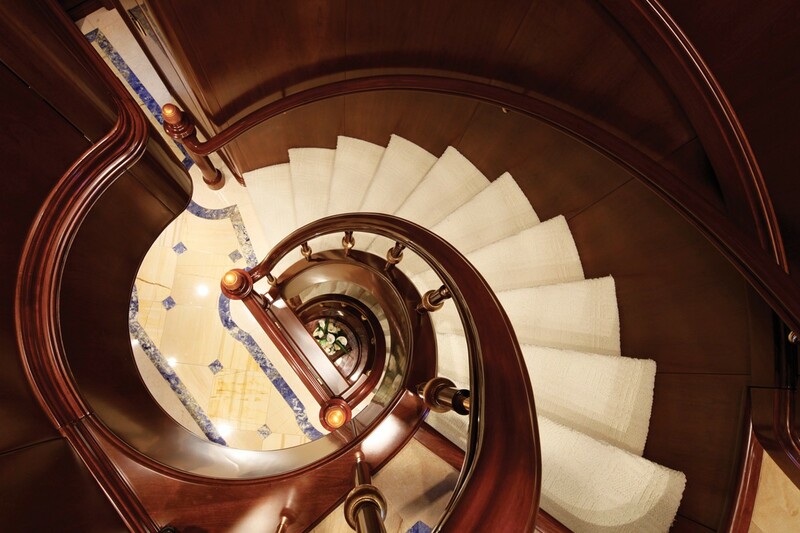 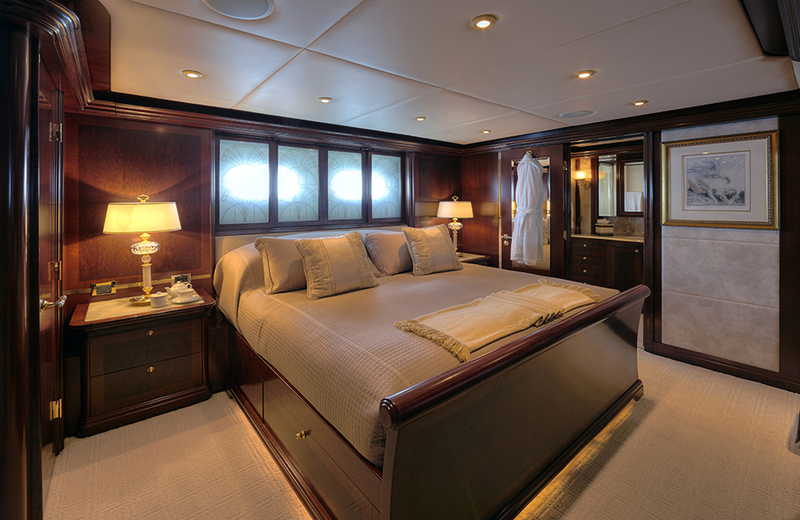 The spaciously planned staterooms provide en suite baths exquisitely finished in mahogany. 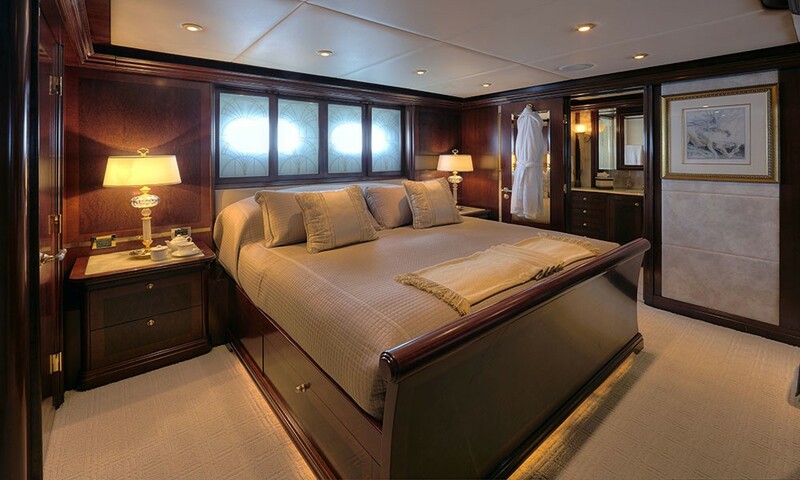 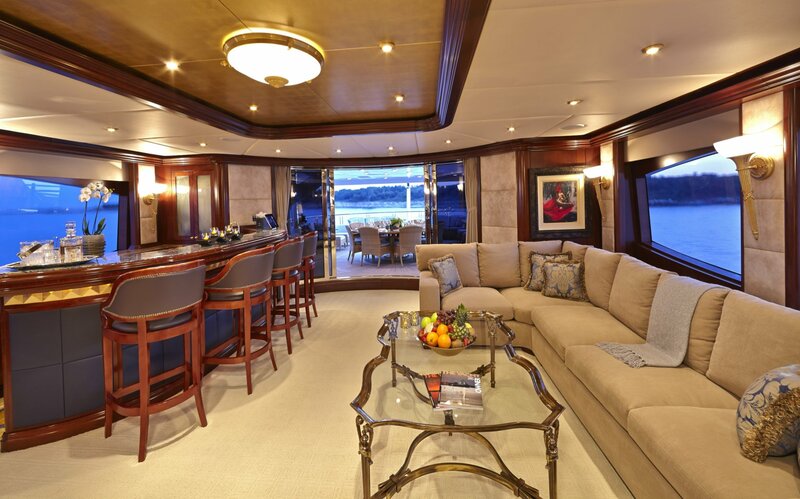 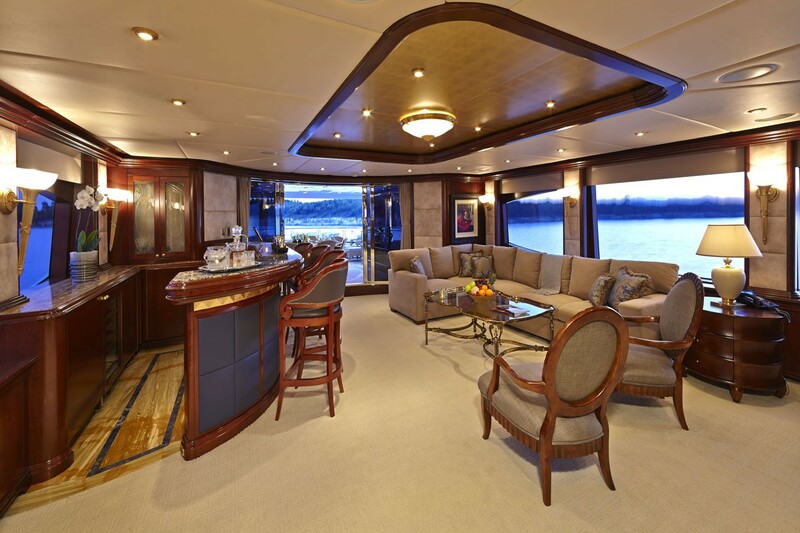 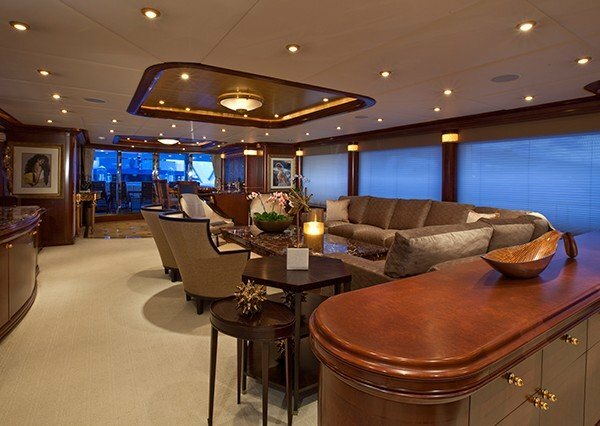 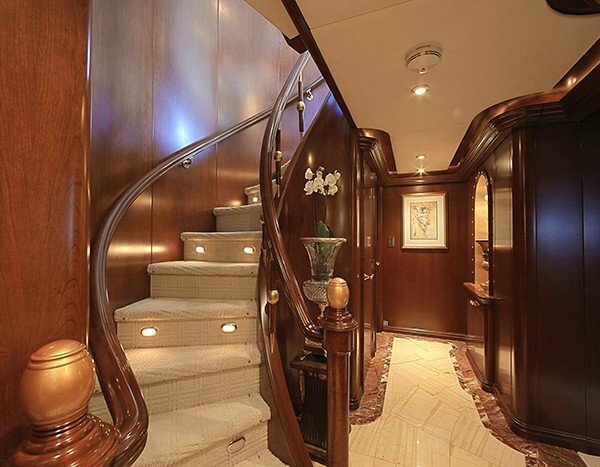 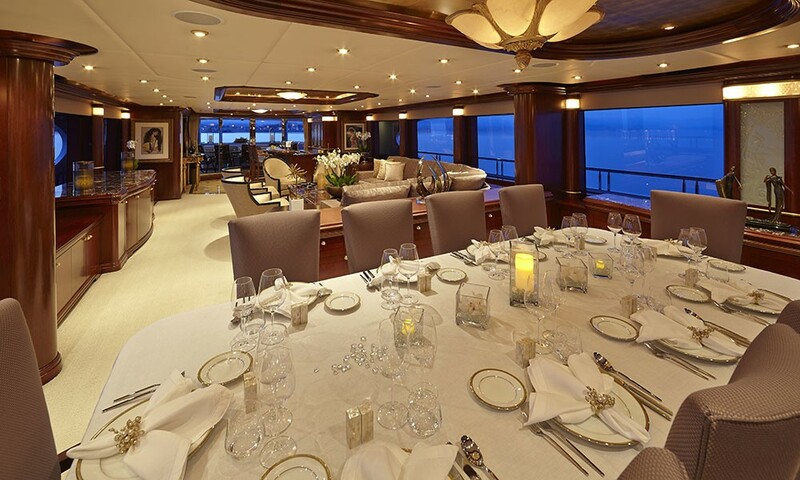 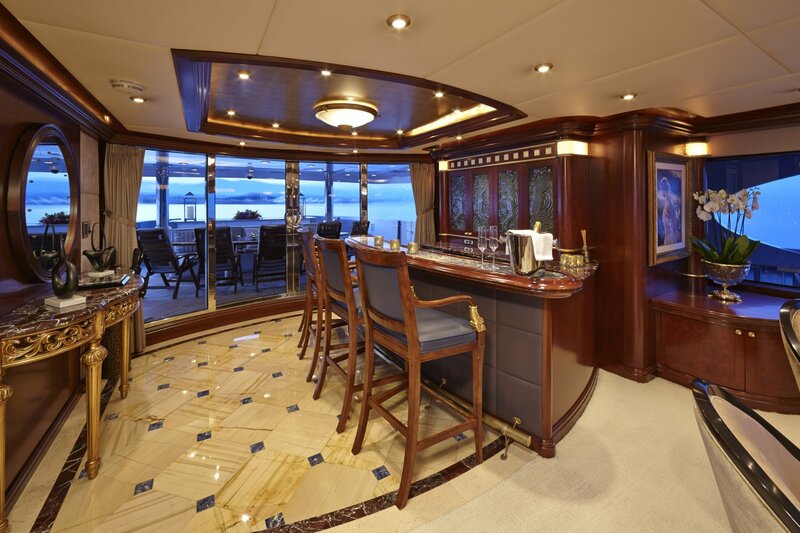 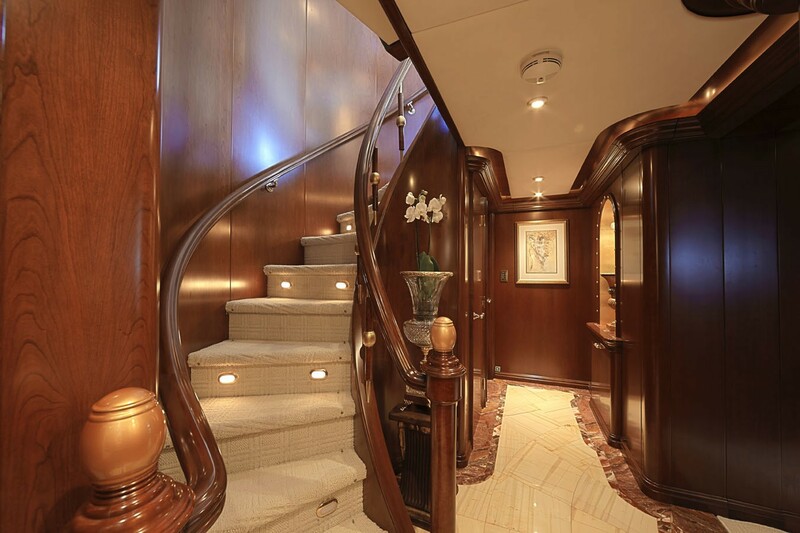 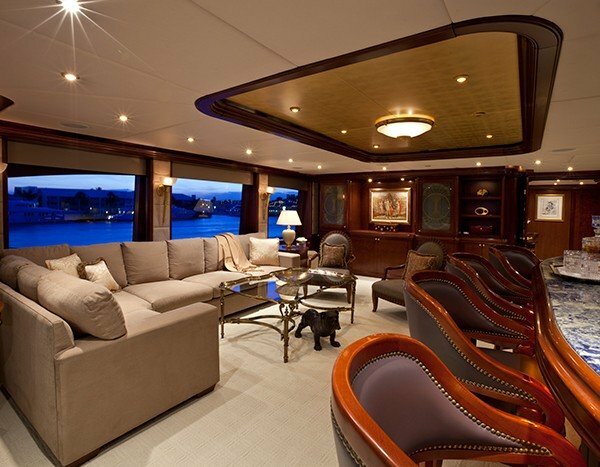 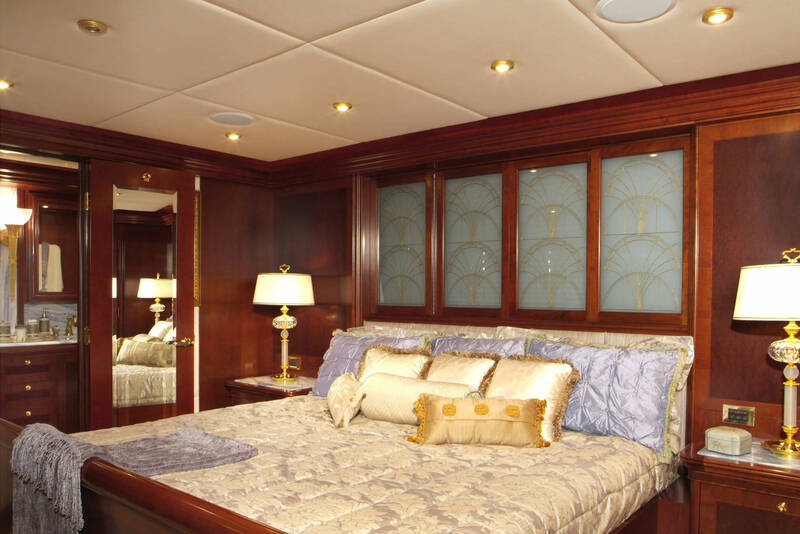 Each of the guests’ staterooms is located below deck. 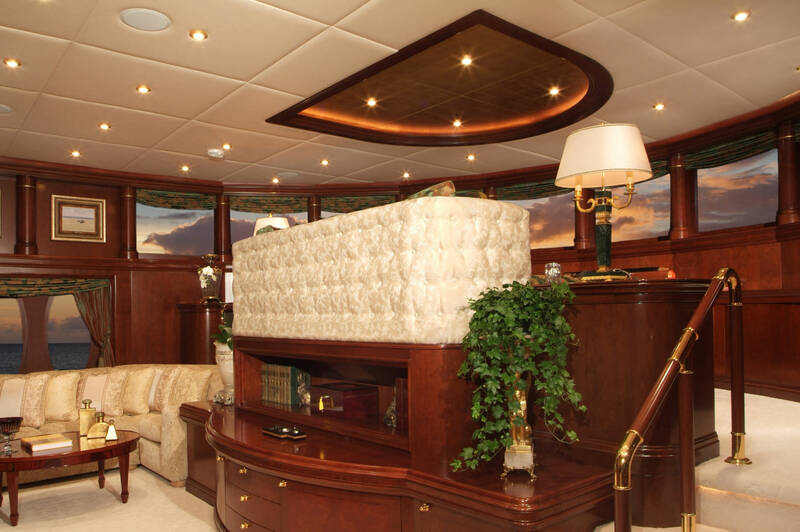 The full beam master stateroom incorporates an unusual split level design and over nine feet of headroom. 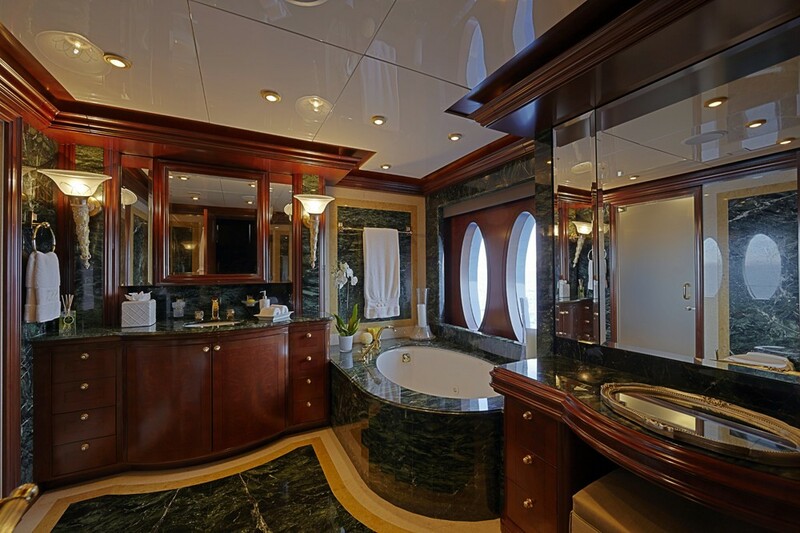 There are an elegant sitting area and a luxurious ensuite bath that includes a whirlpool tub and large marble shower.